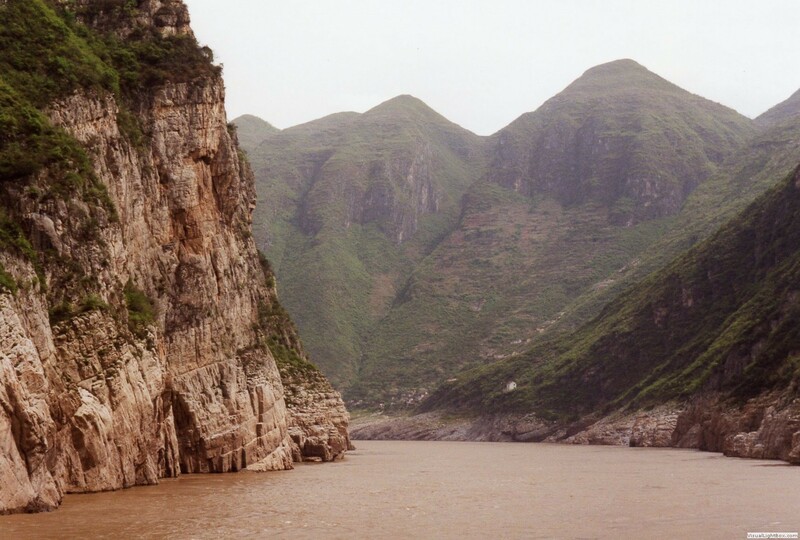 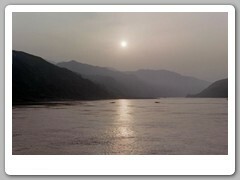 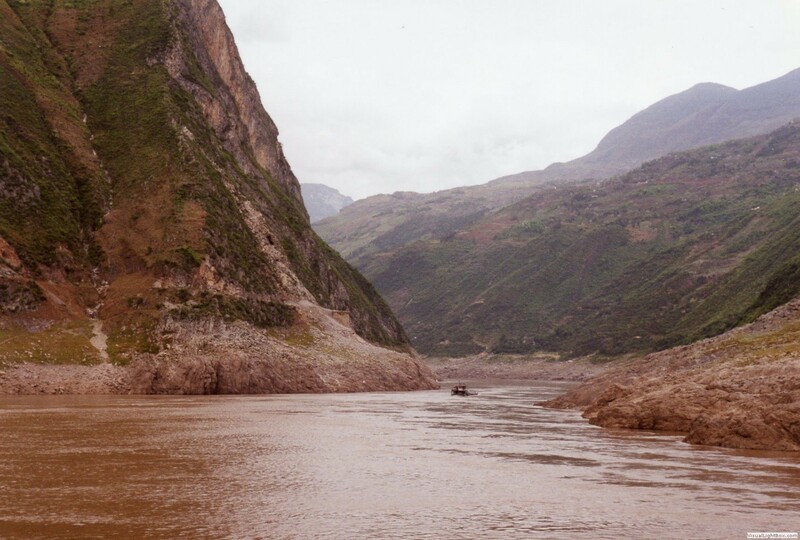 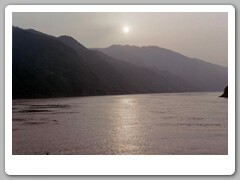 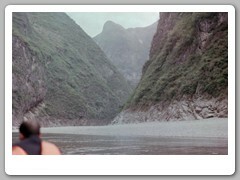 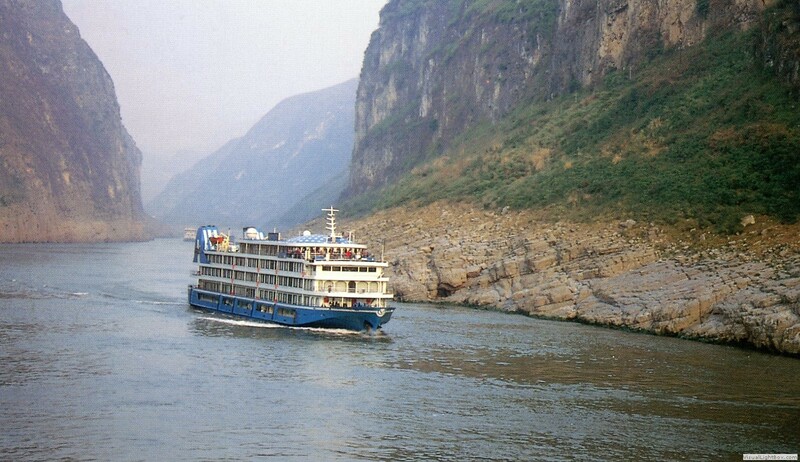 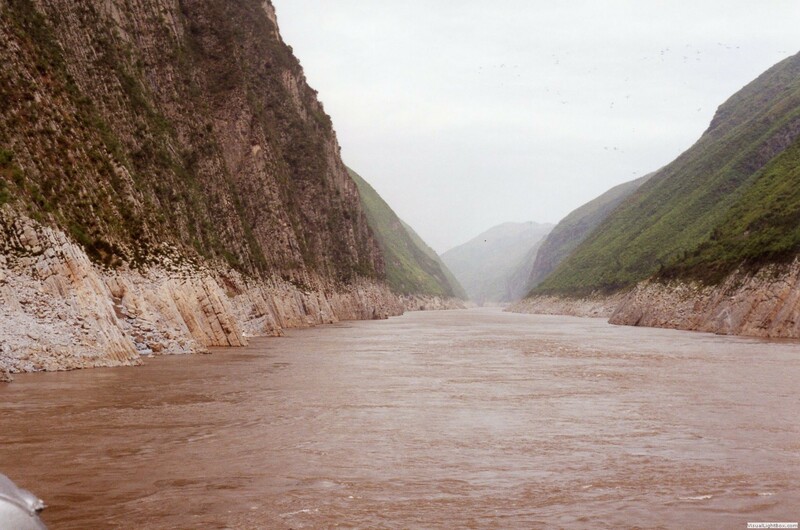 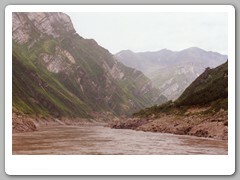 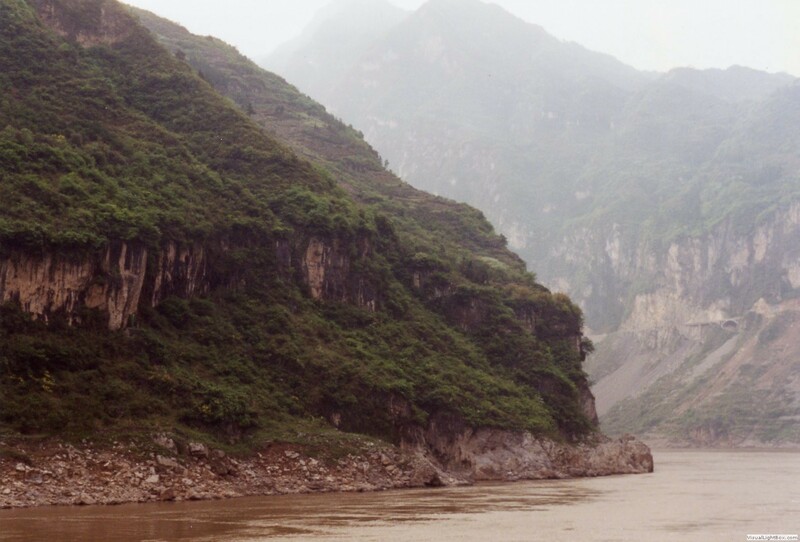 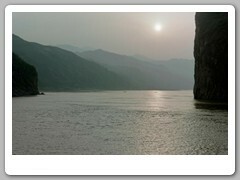 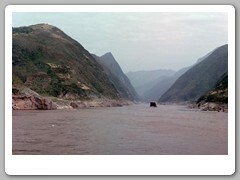 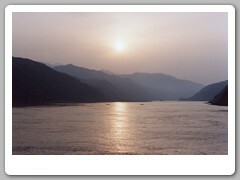 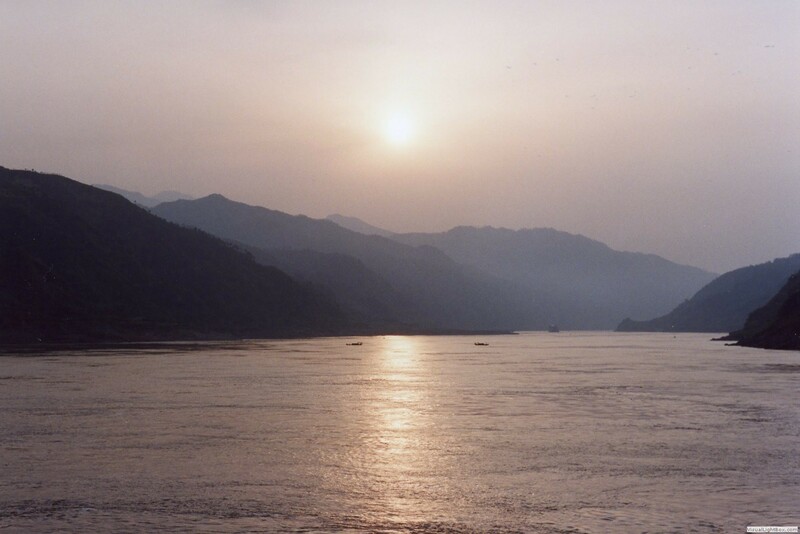 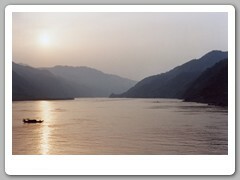 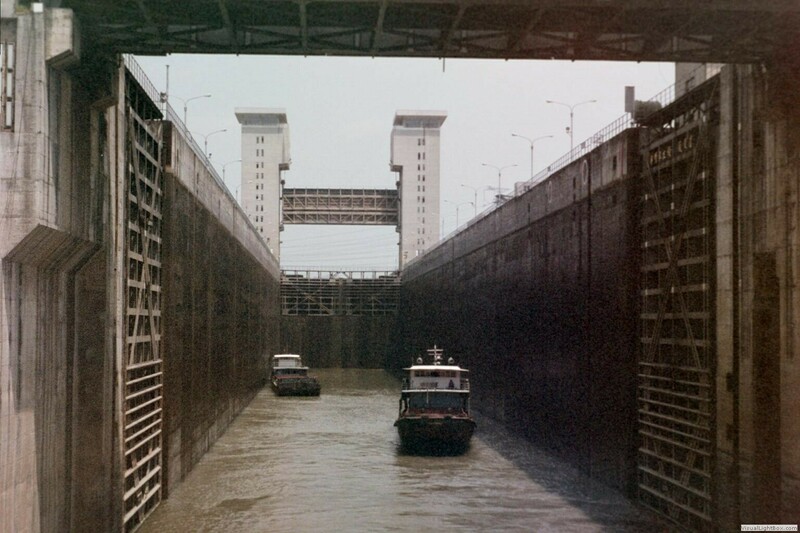 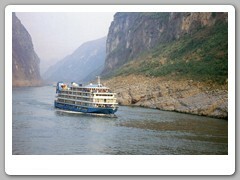 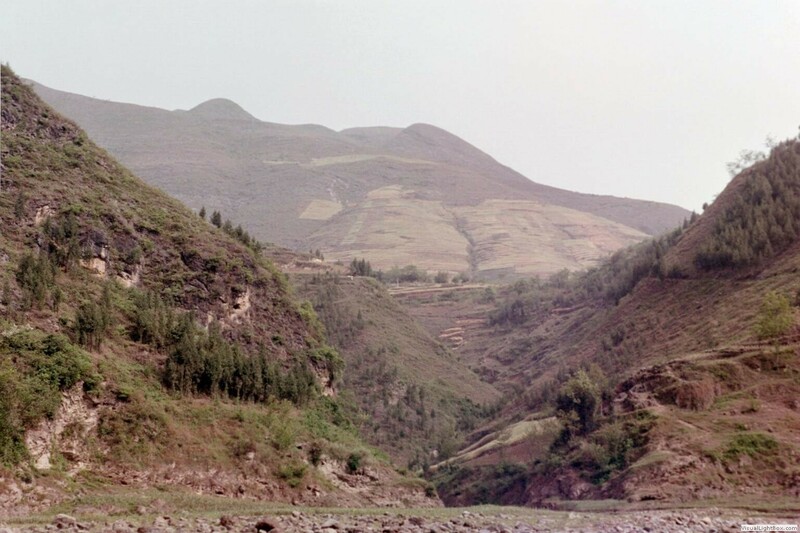 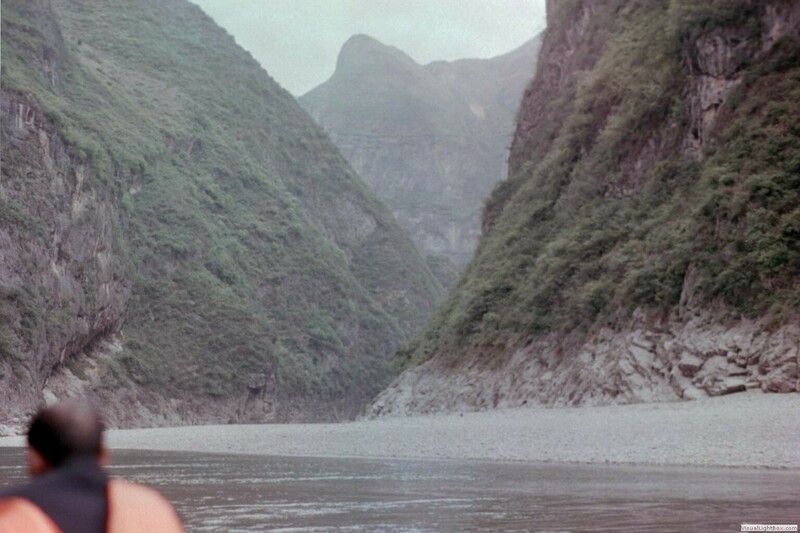 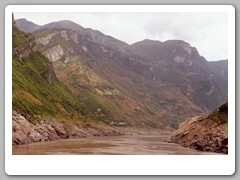 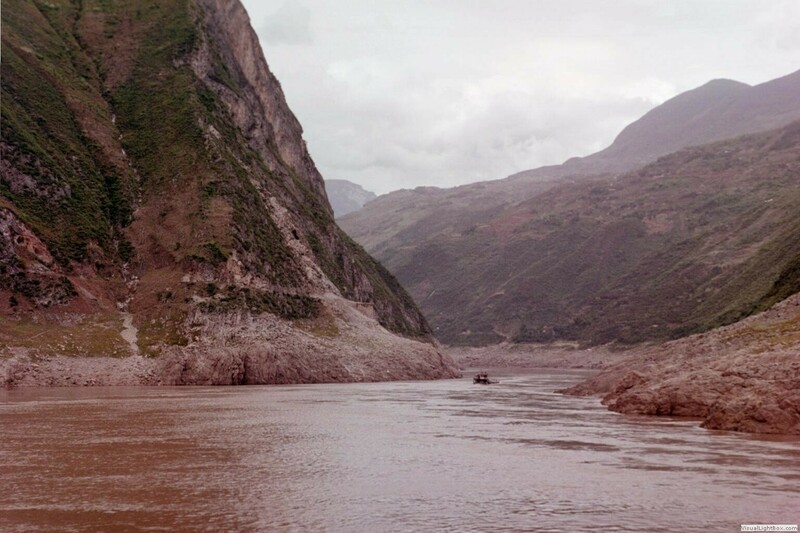 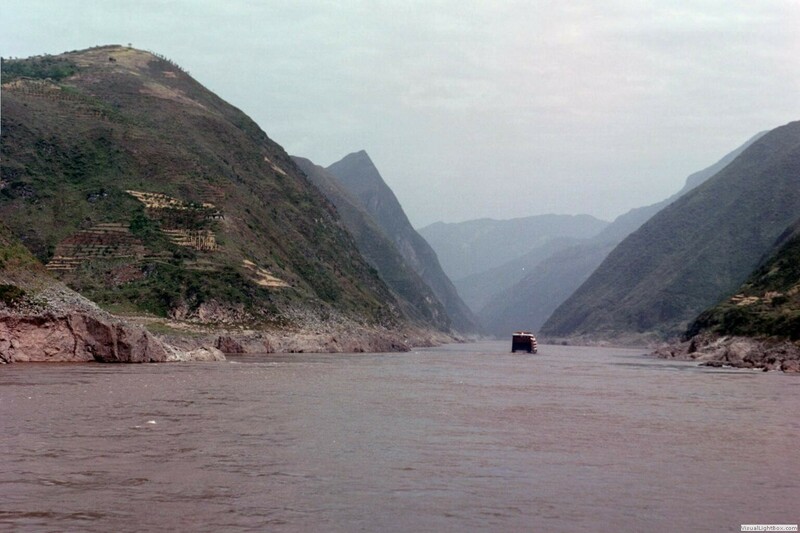 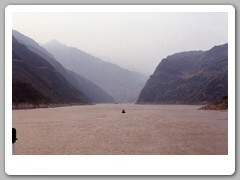 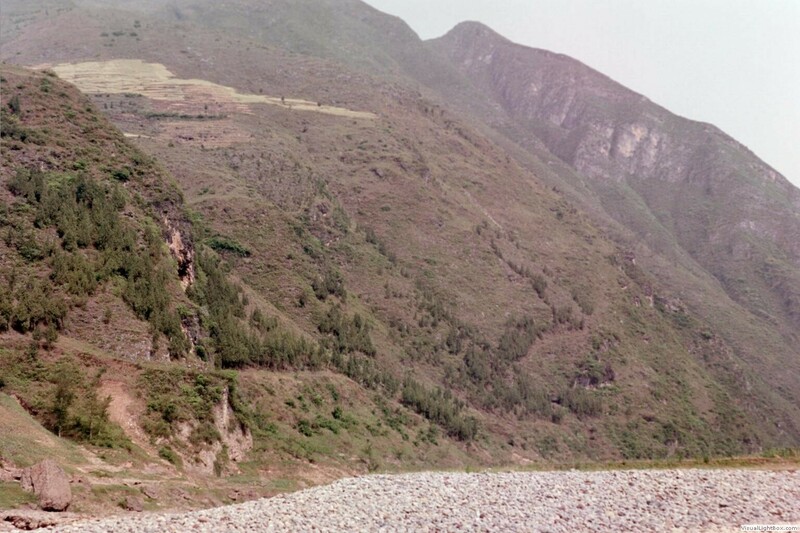 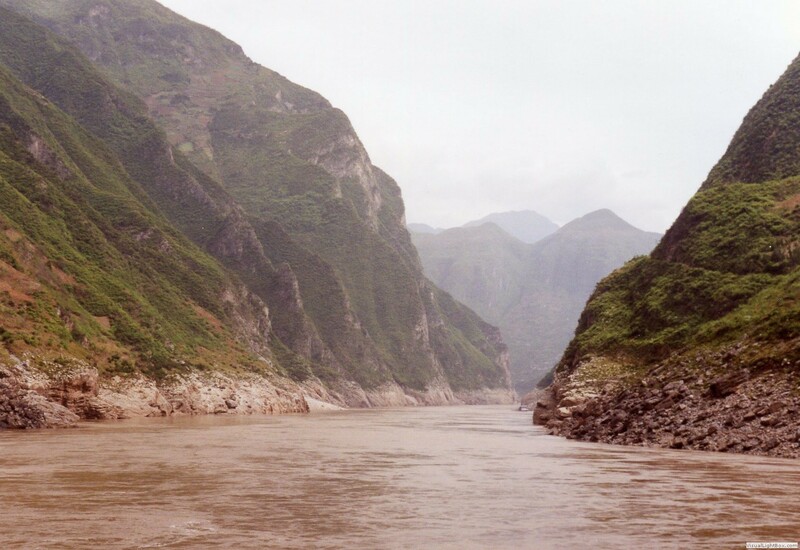 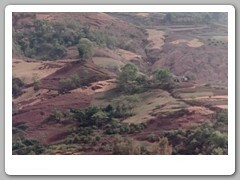 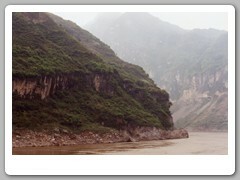 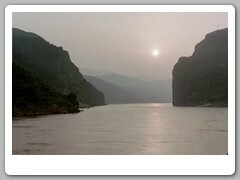 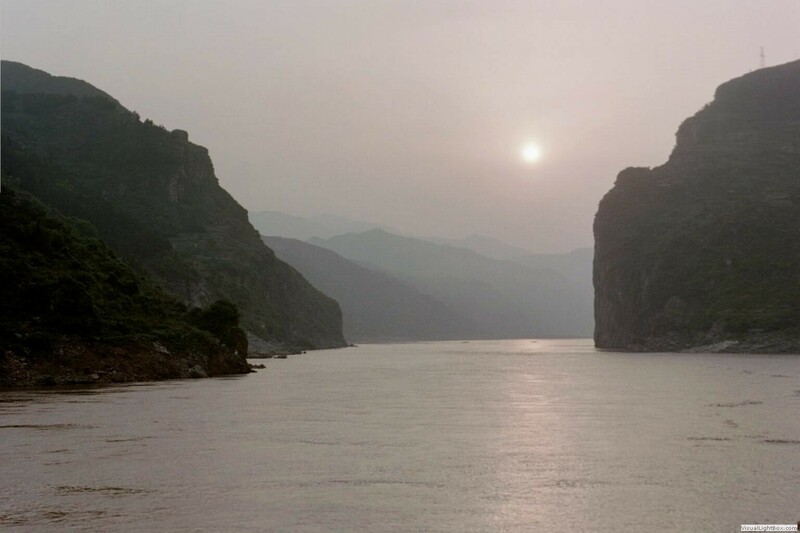 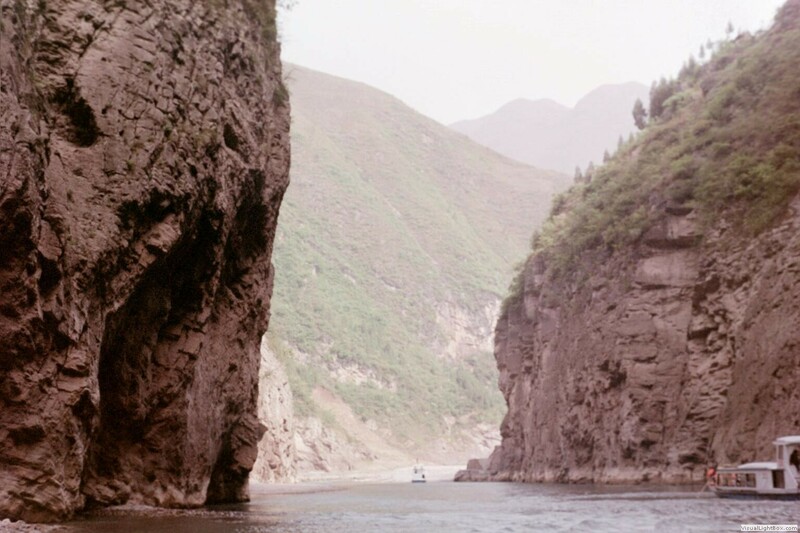 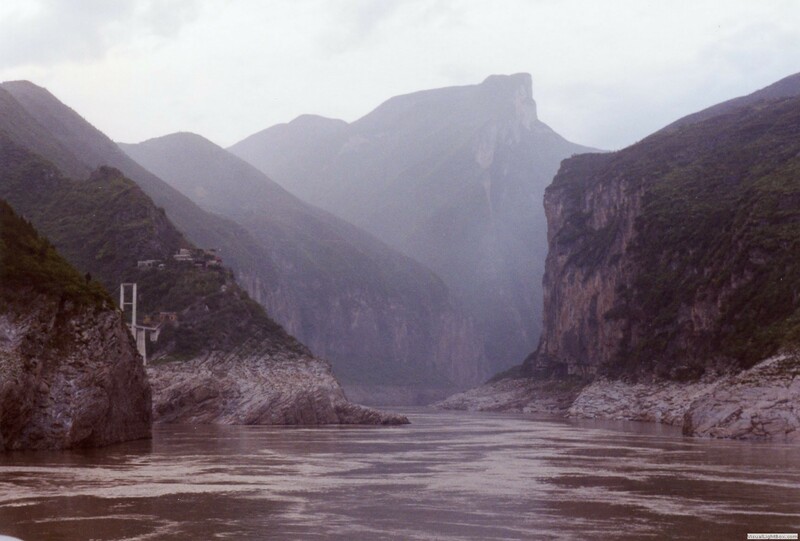 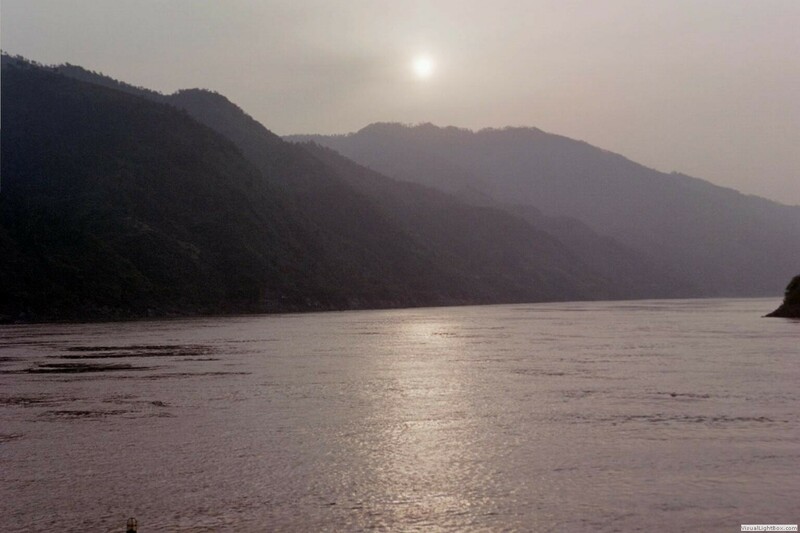 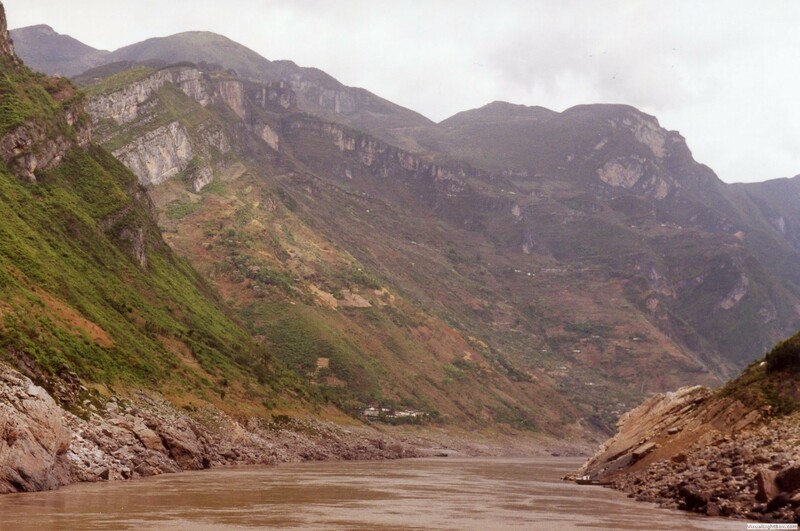 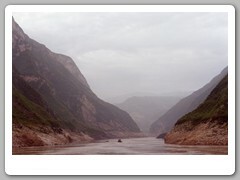 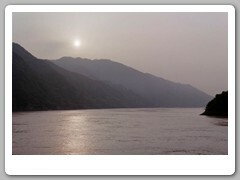 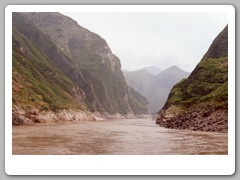 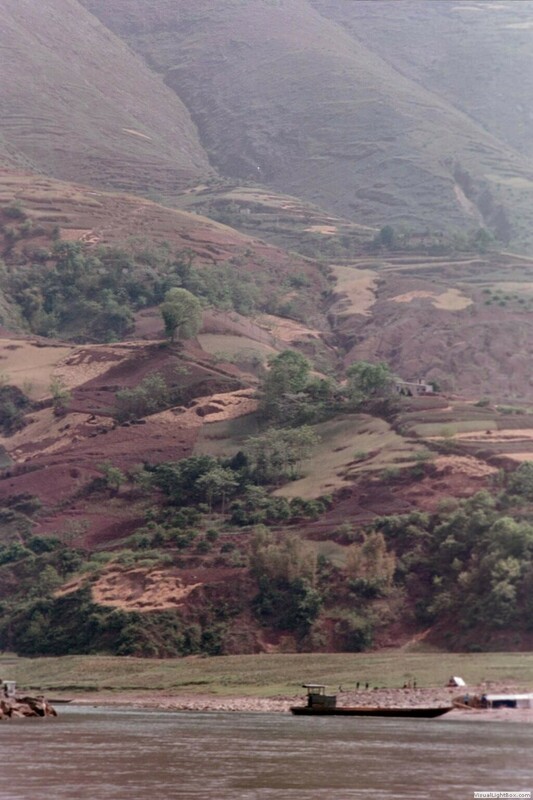 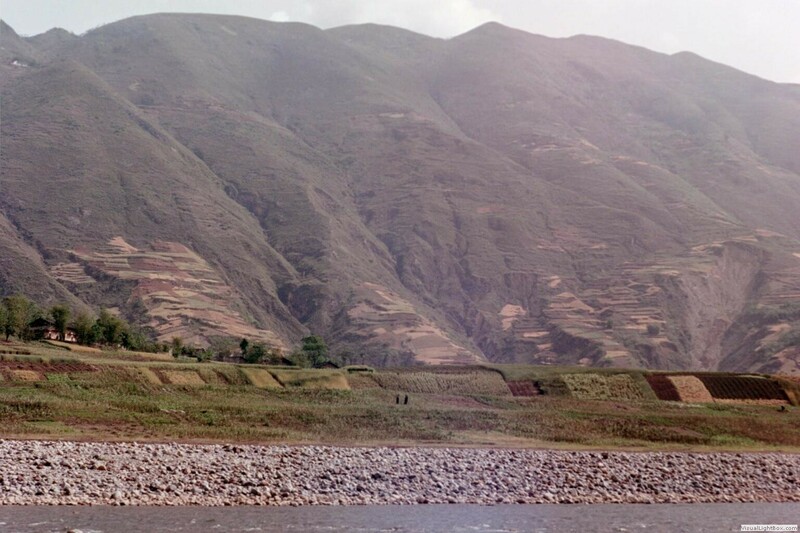 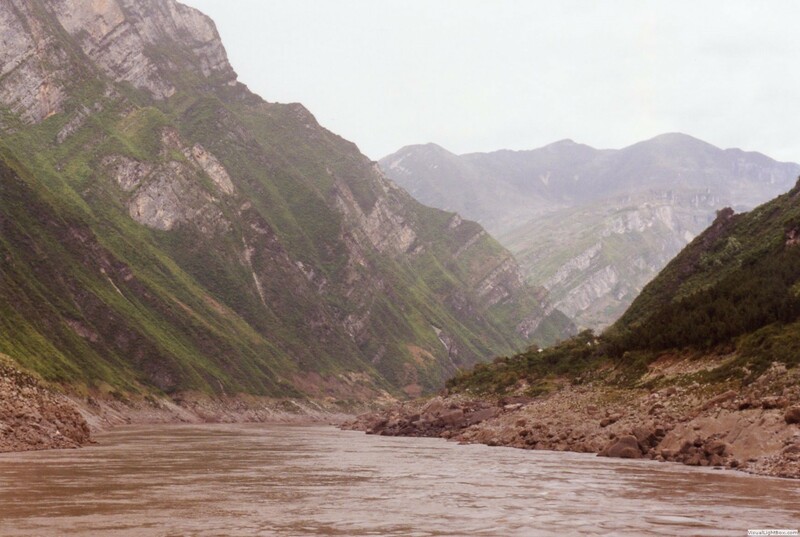 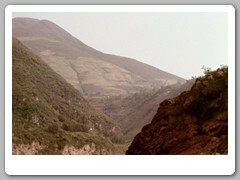 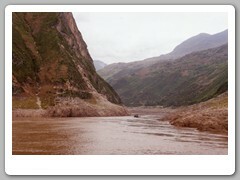 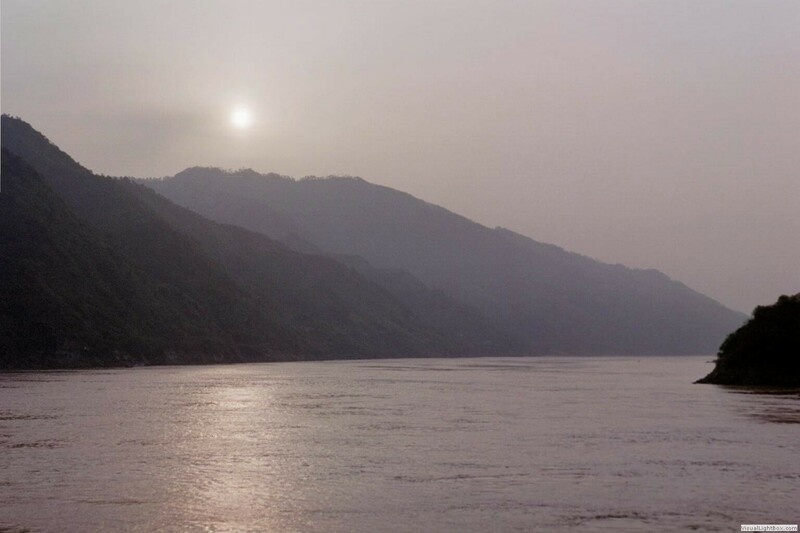 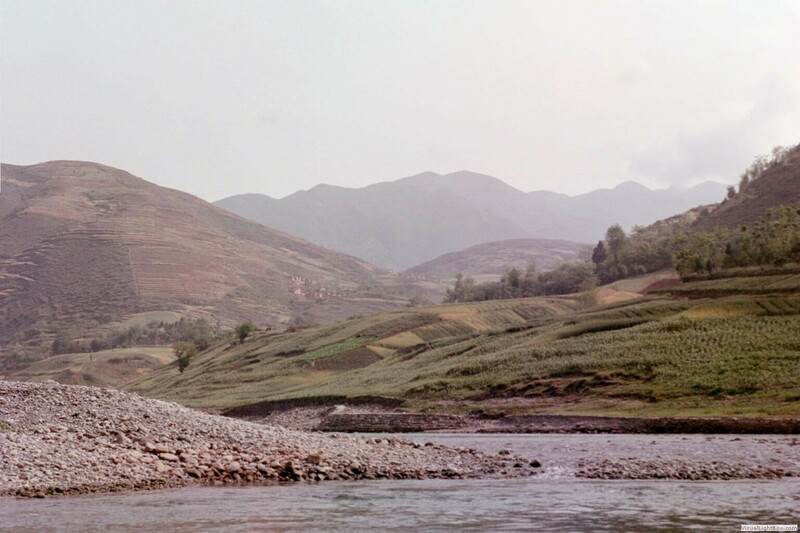 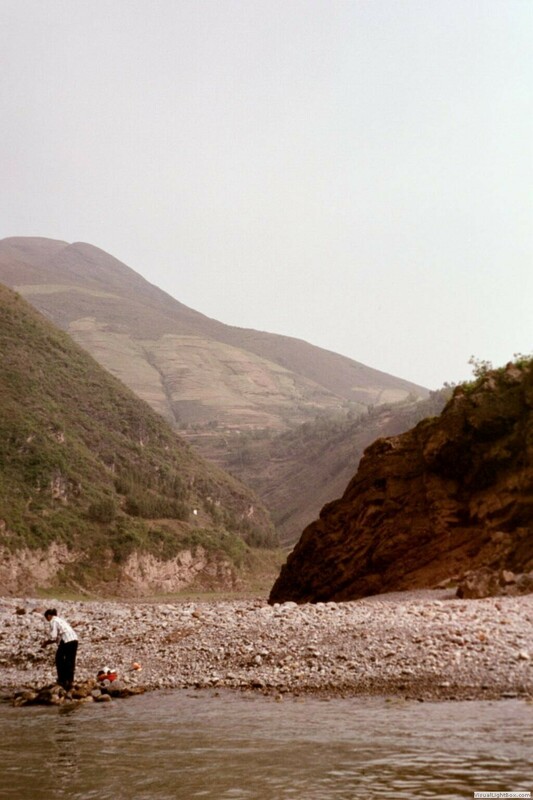 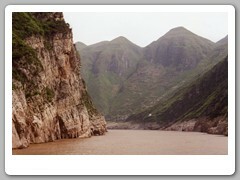 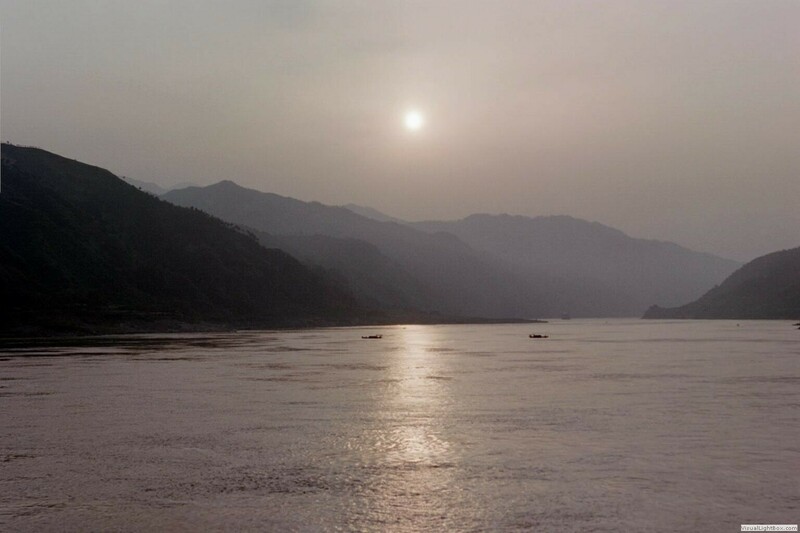 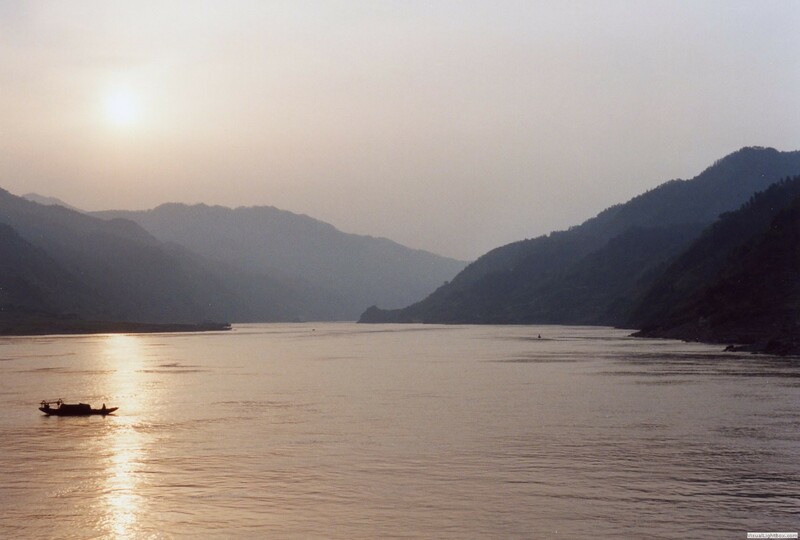 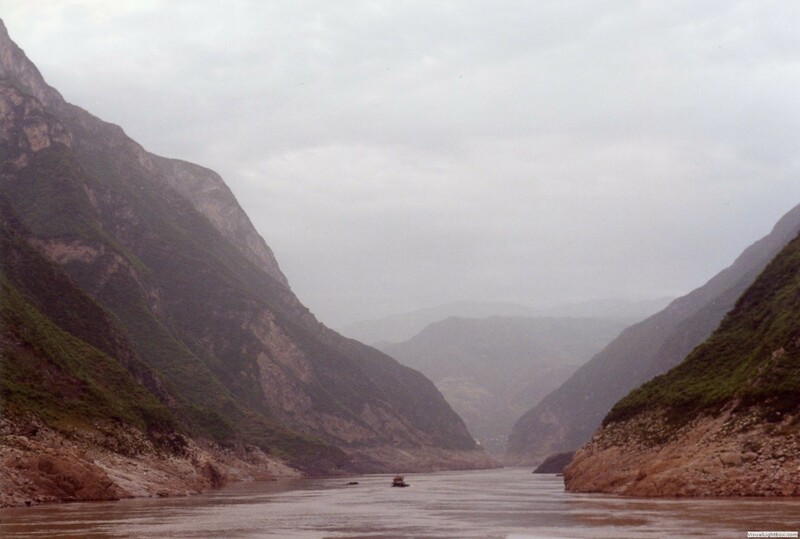 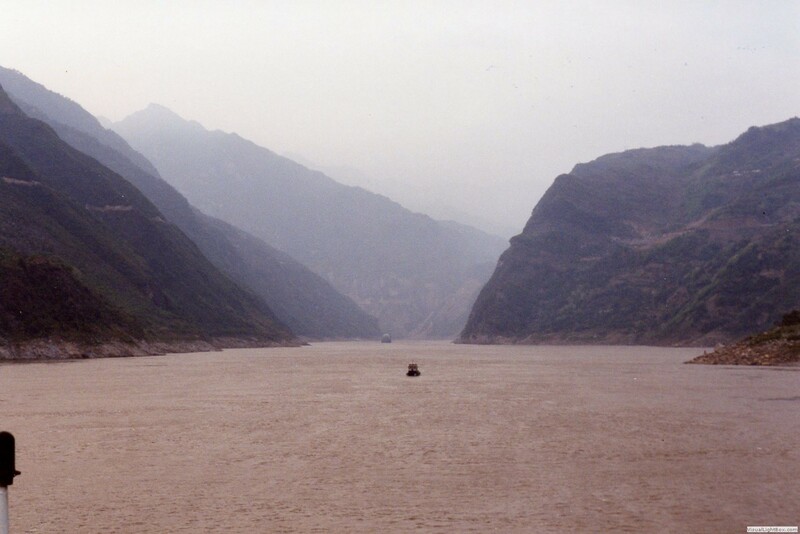 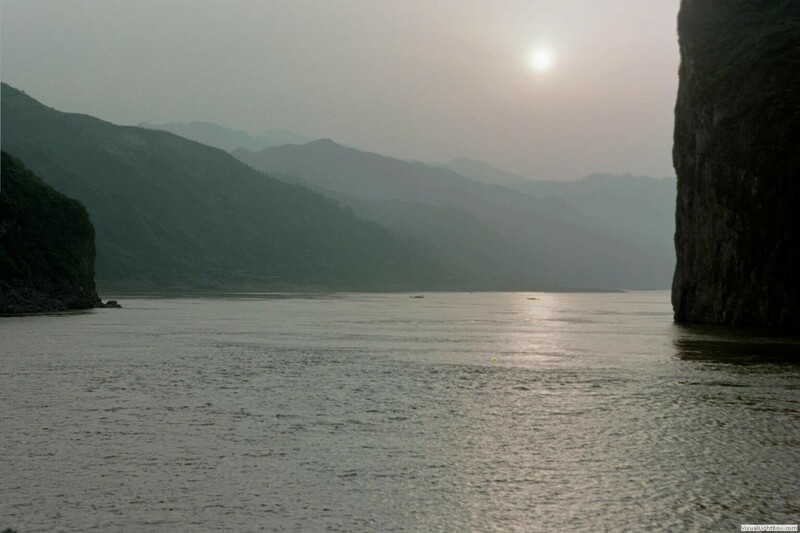 The Yangtze River is 6,000 kilometers (third longest in the world after the Nile and the Amazon). 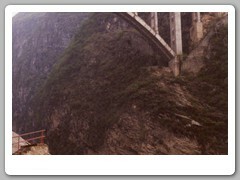 We cruise on 1200 km. of the river. 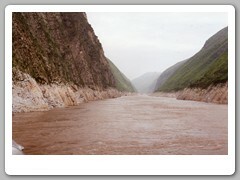 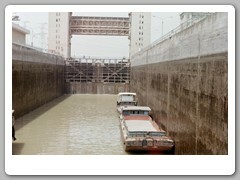 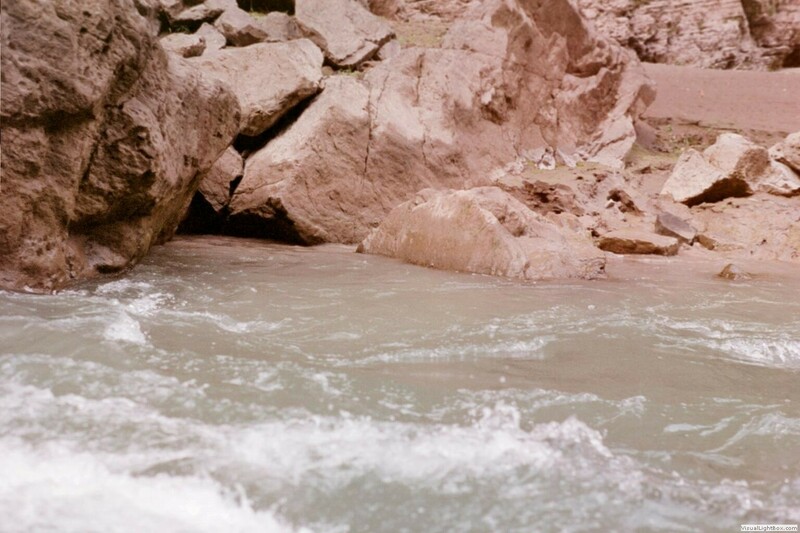 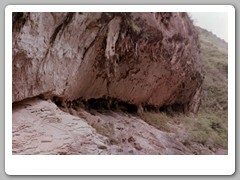 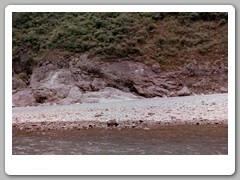 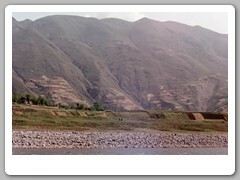 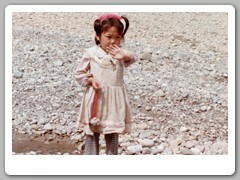 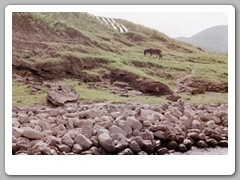 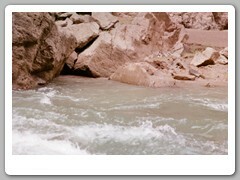 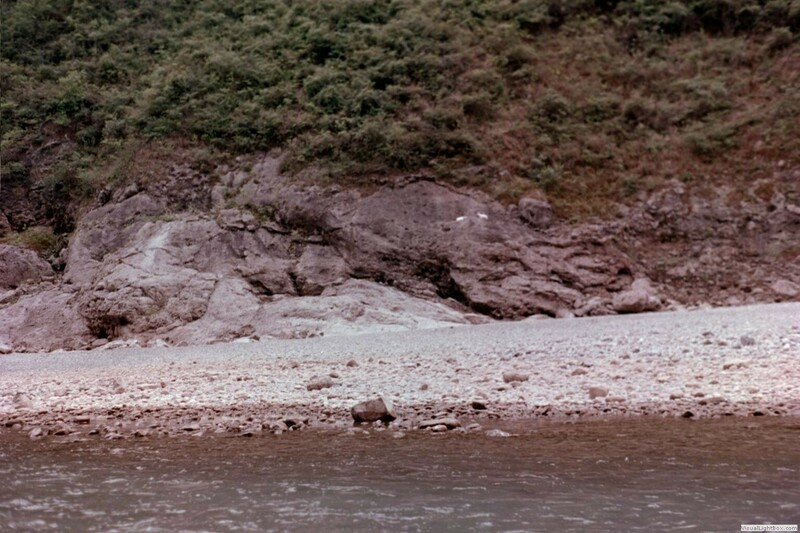 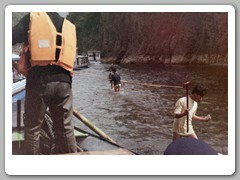 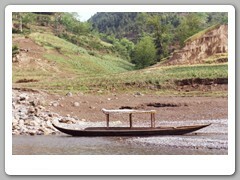 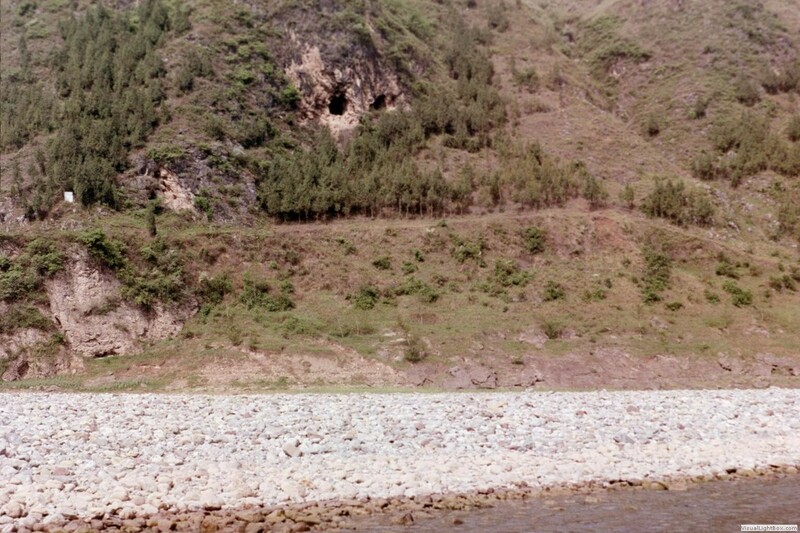 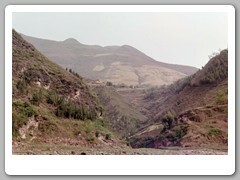 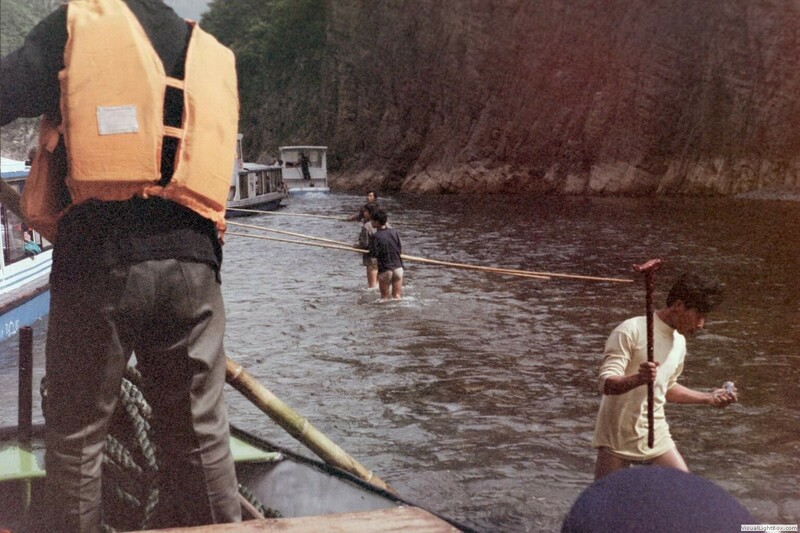 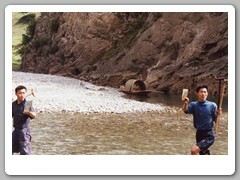 The depth of the river is 40-60 meters. 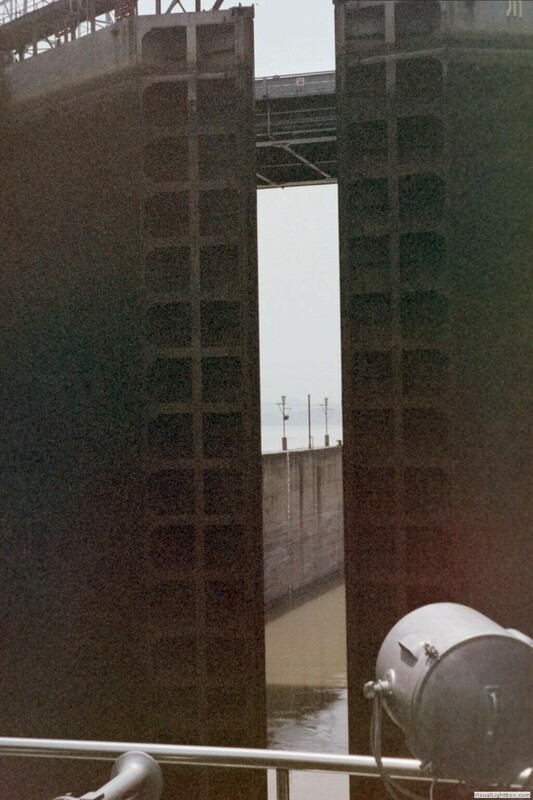 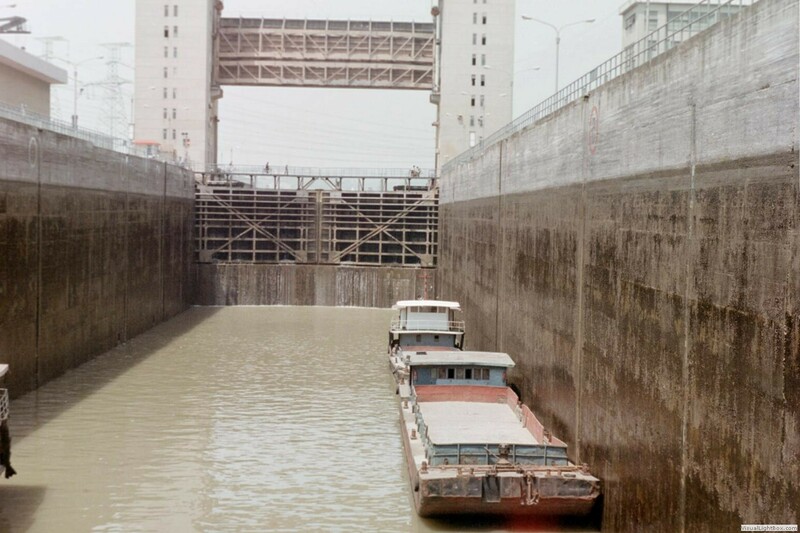 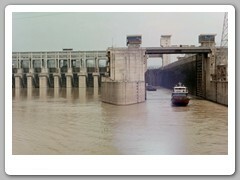 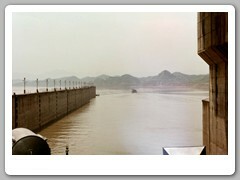 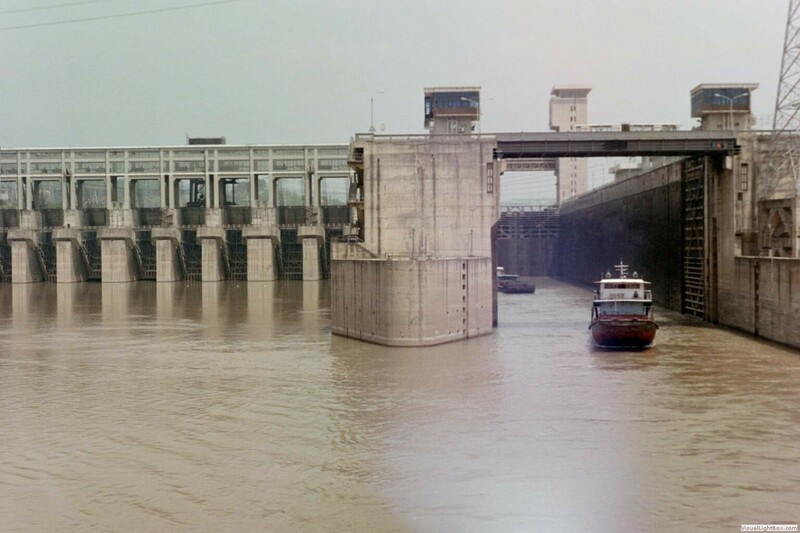 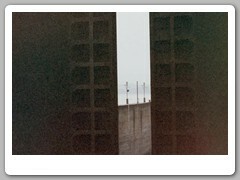 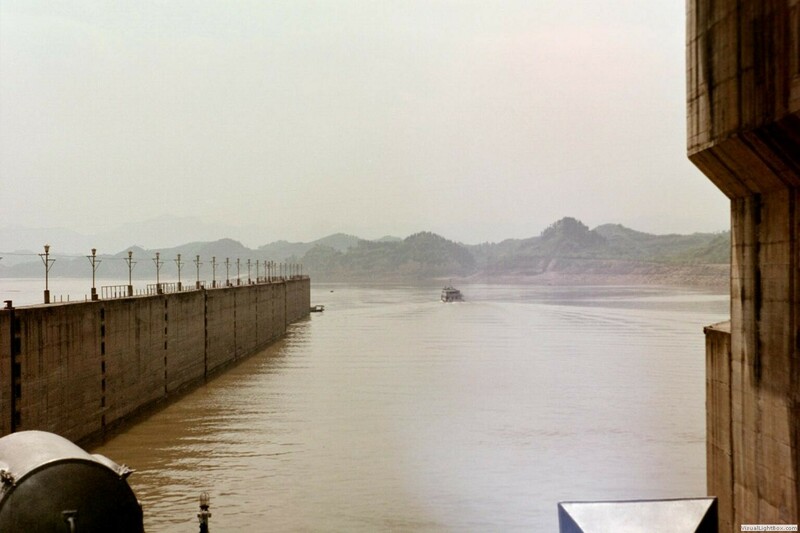 With the completion of the Three Gorges Dam, the river will rise a further 175 meters. 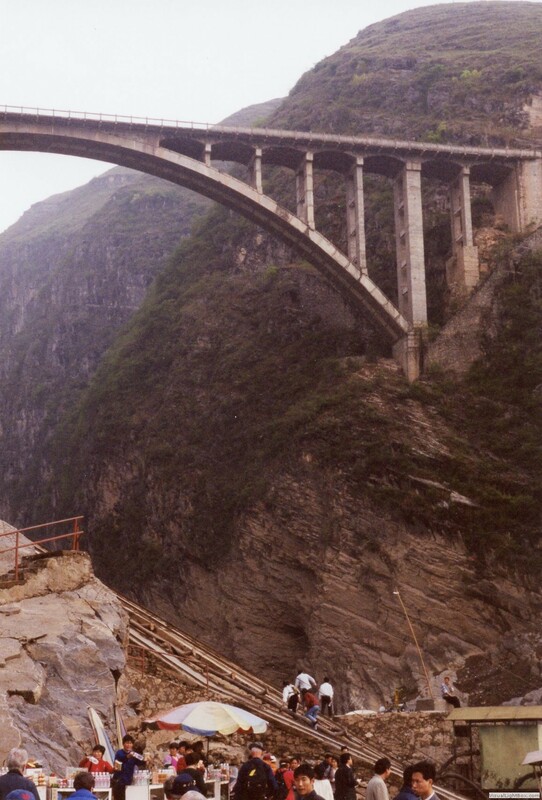 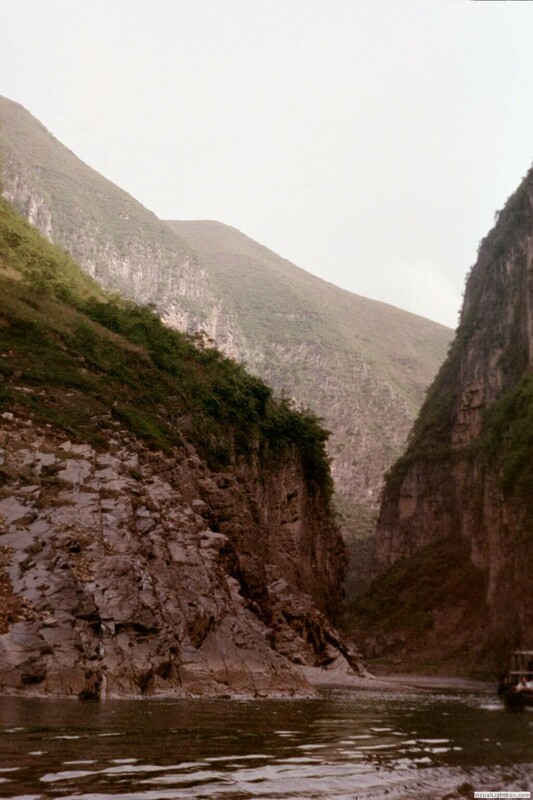 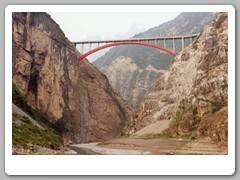 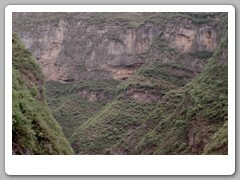 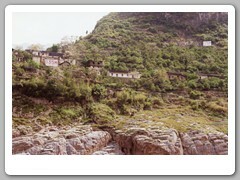 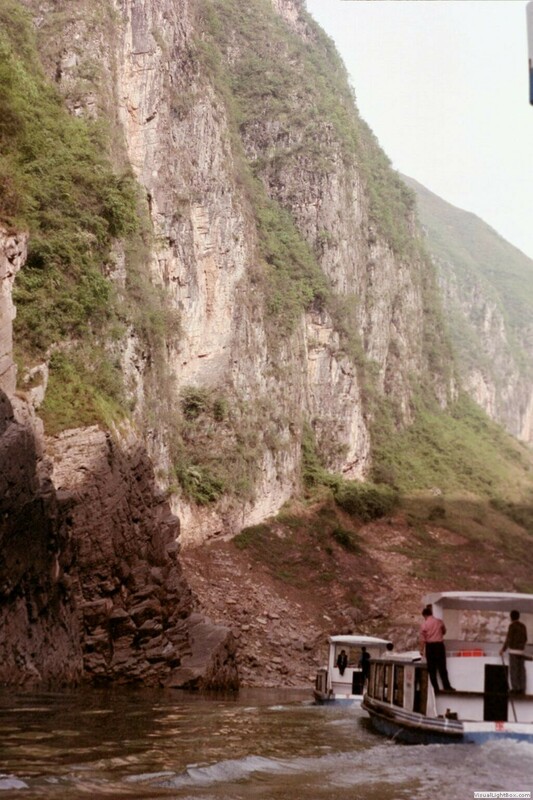 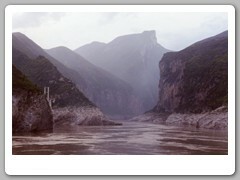 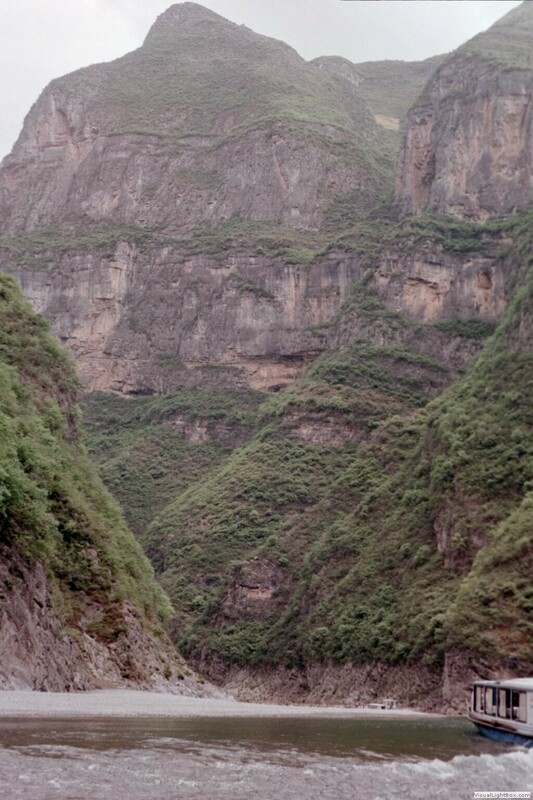 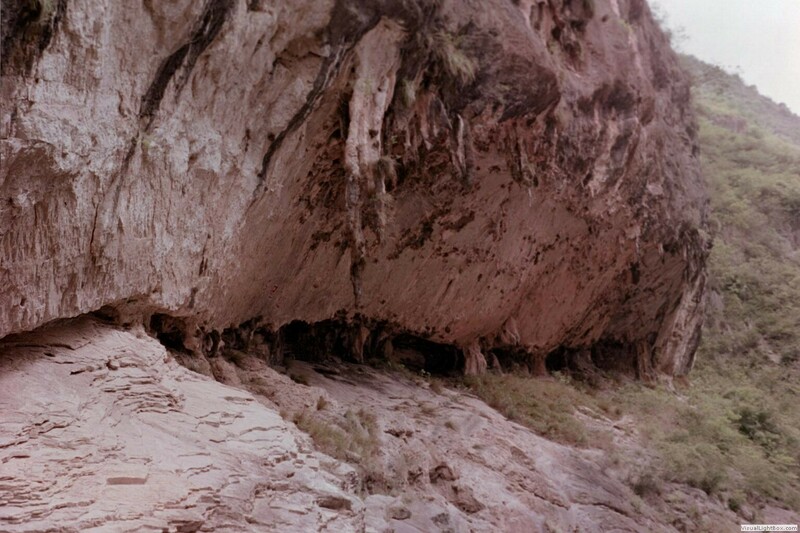 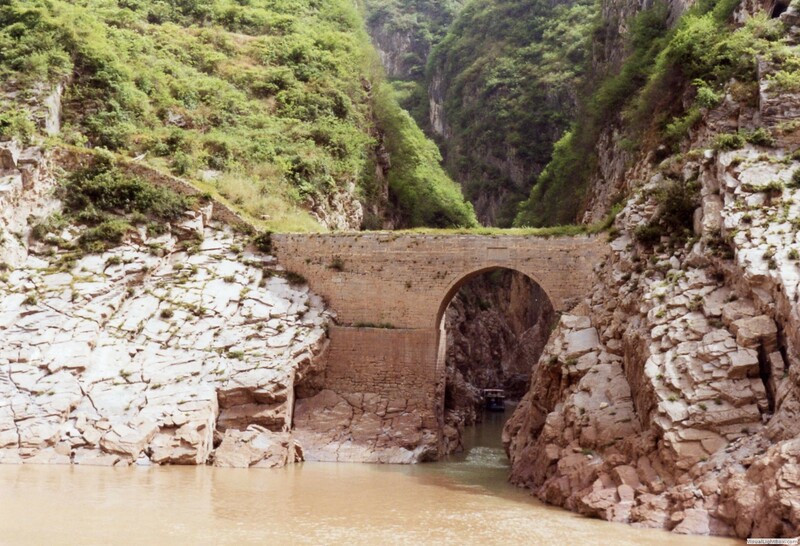 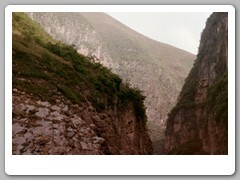 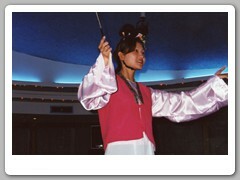 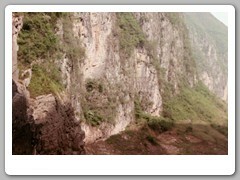 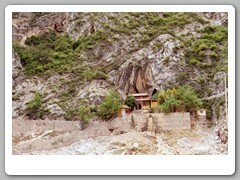 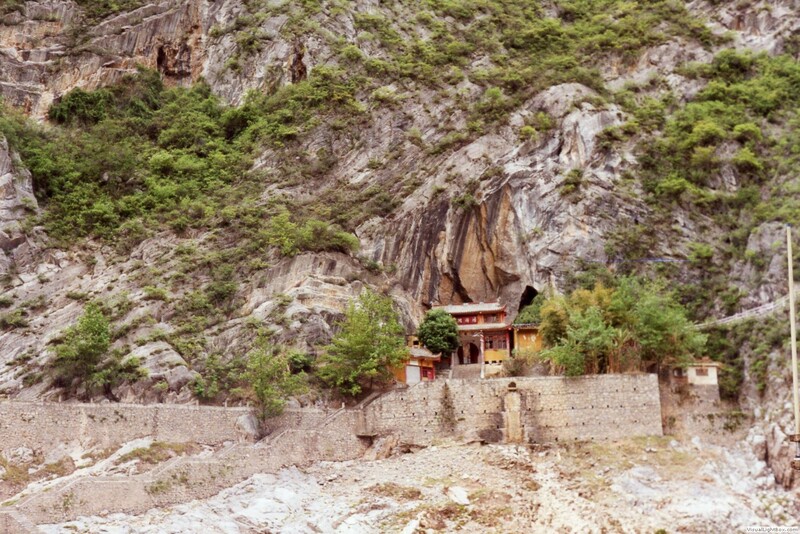 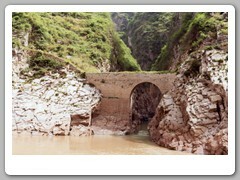 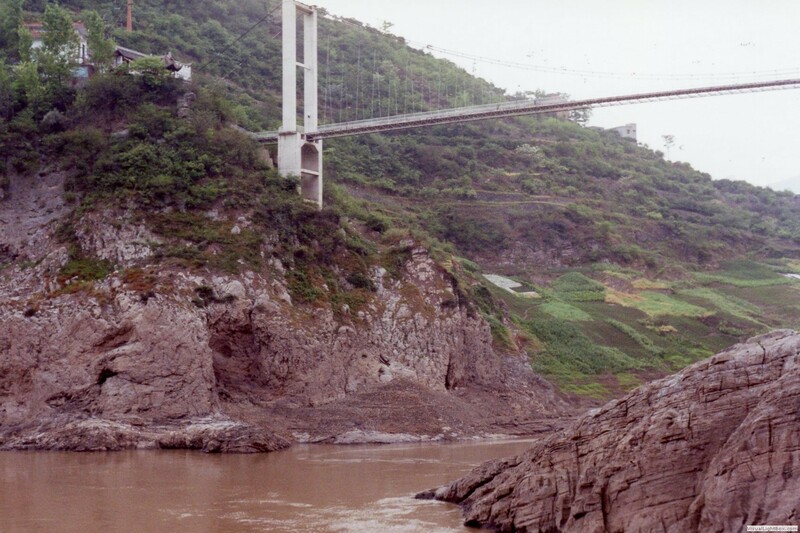 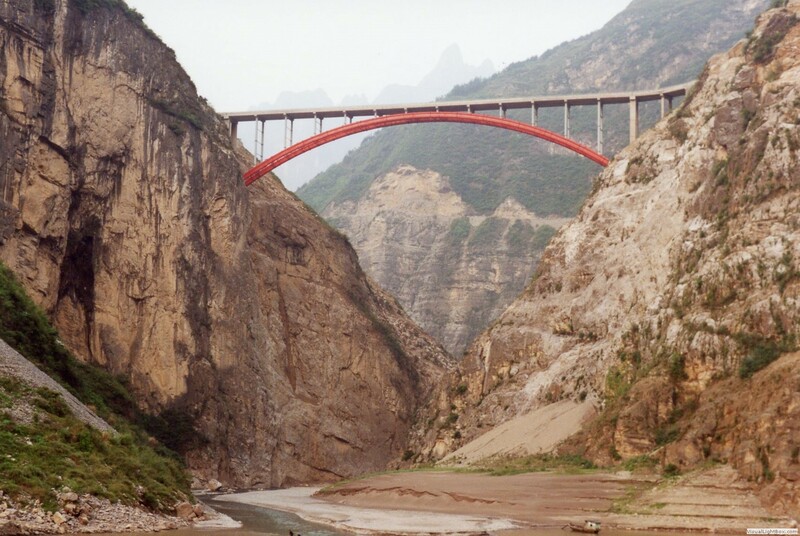 The three gorges refer to the joint name for Qutang Gorge, Wuxia Gorge, and the Xiling Gorge (40 miles long). 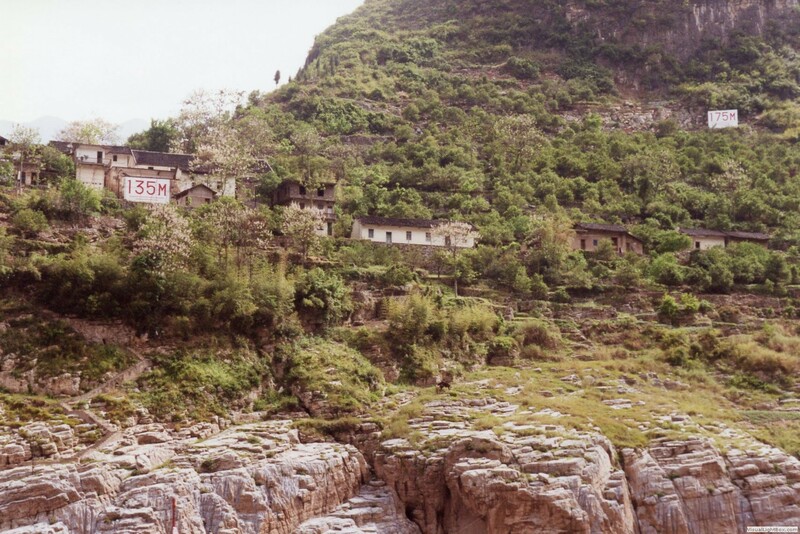 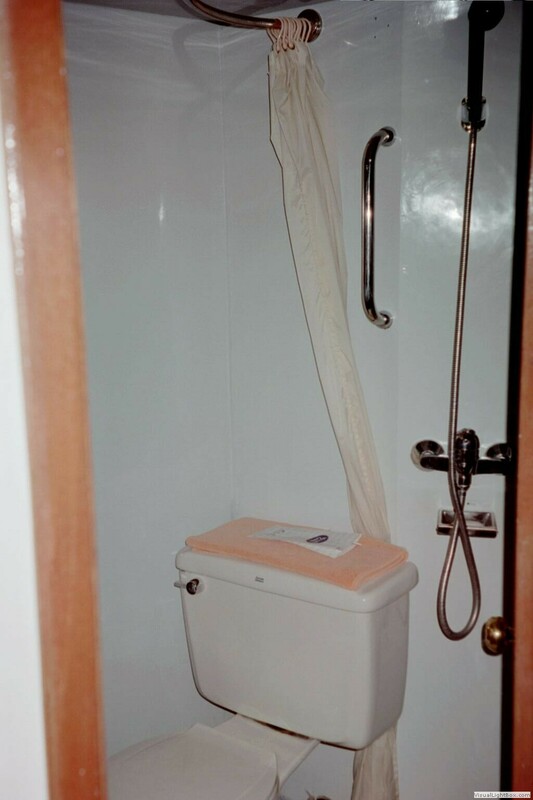 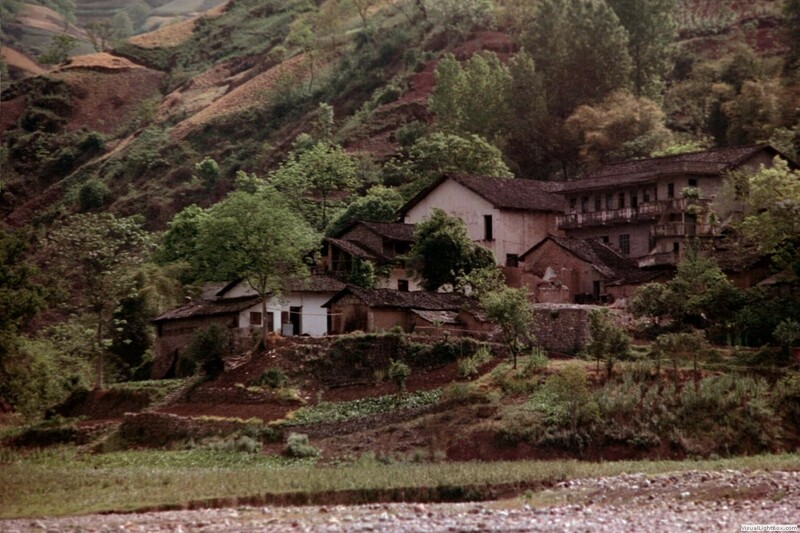 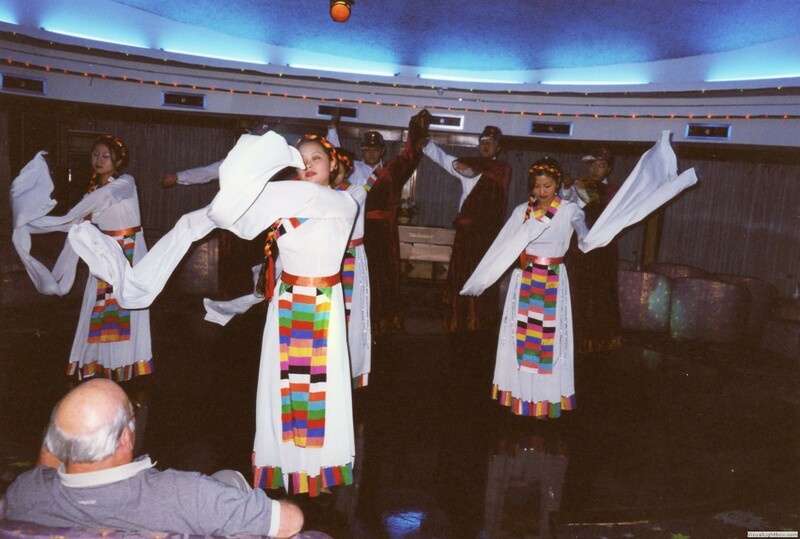 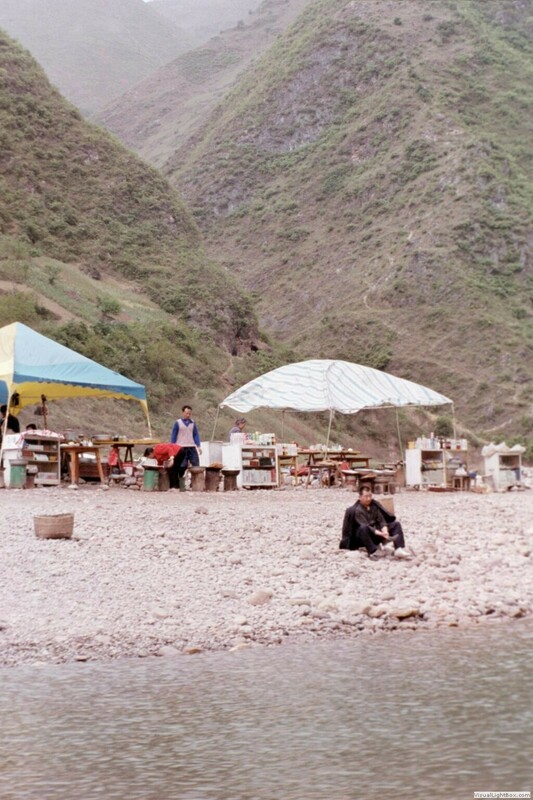 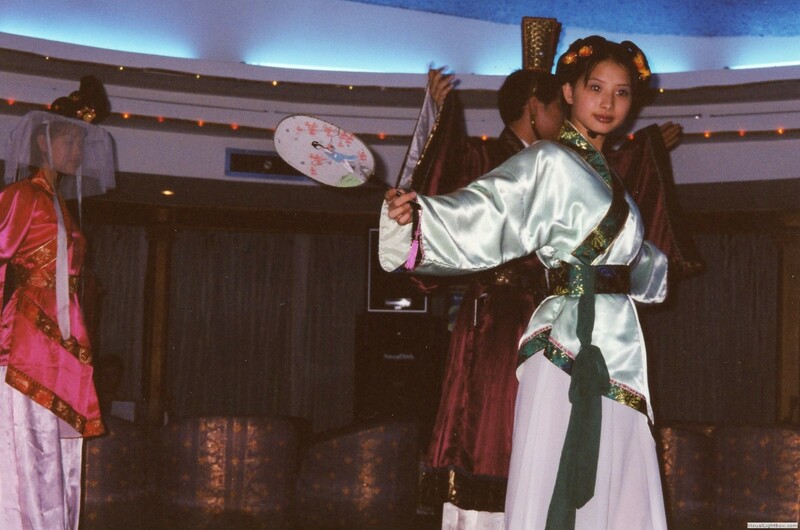 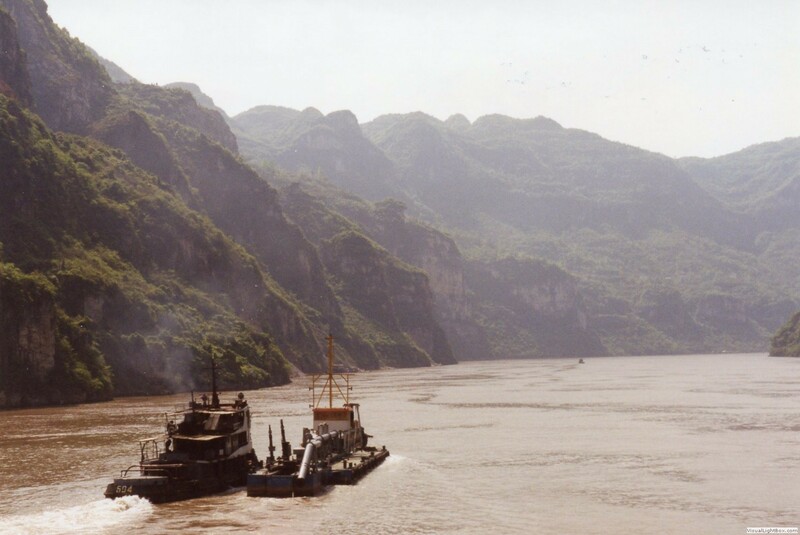 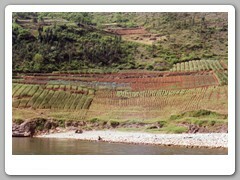 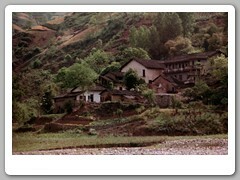 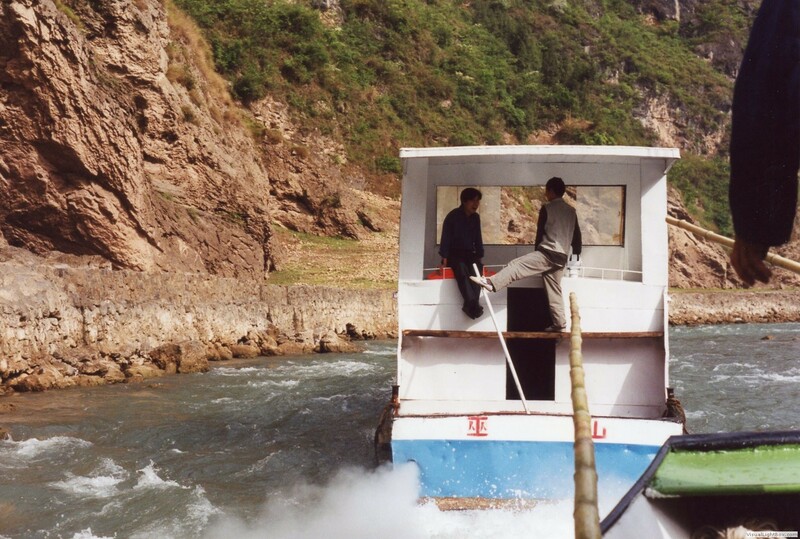 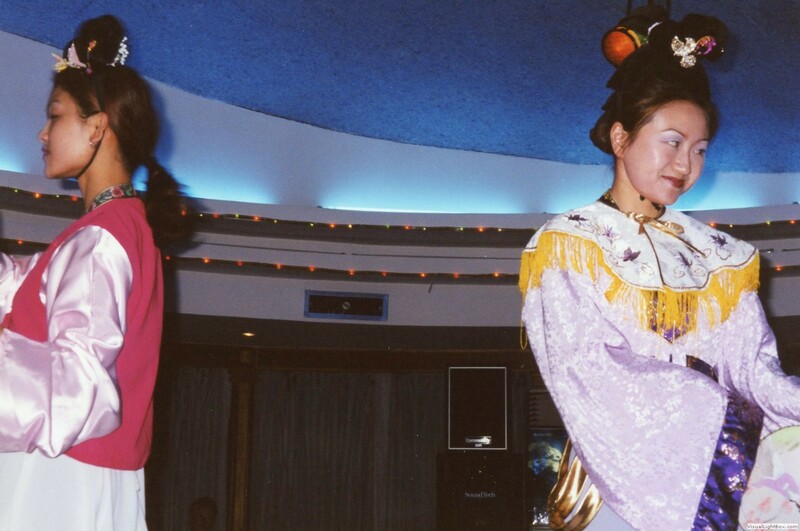 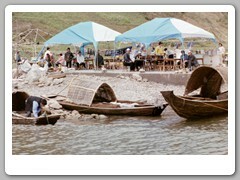 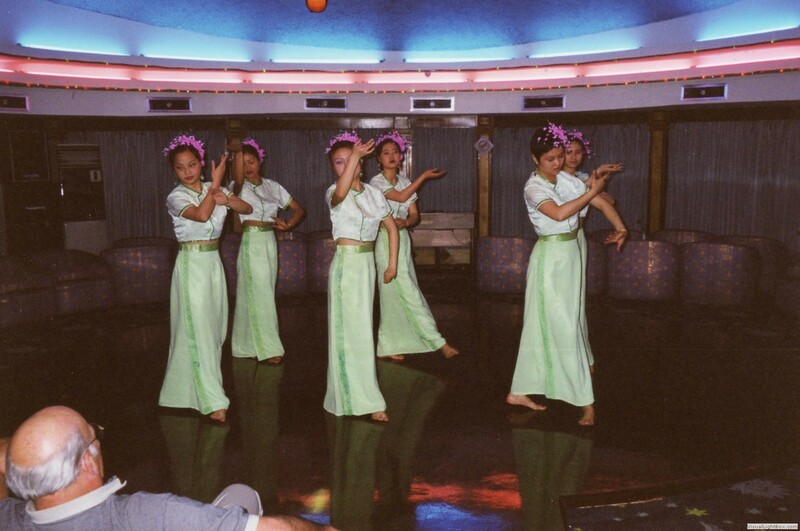 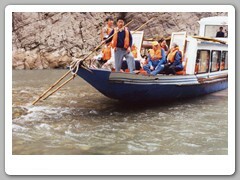 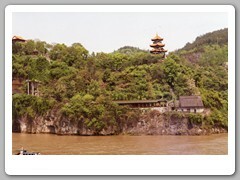 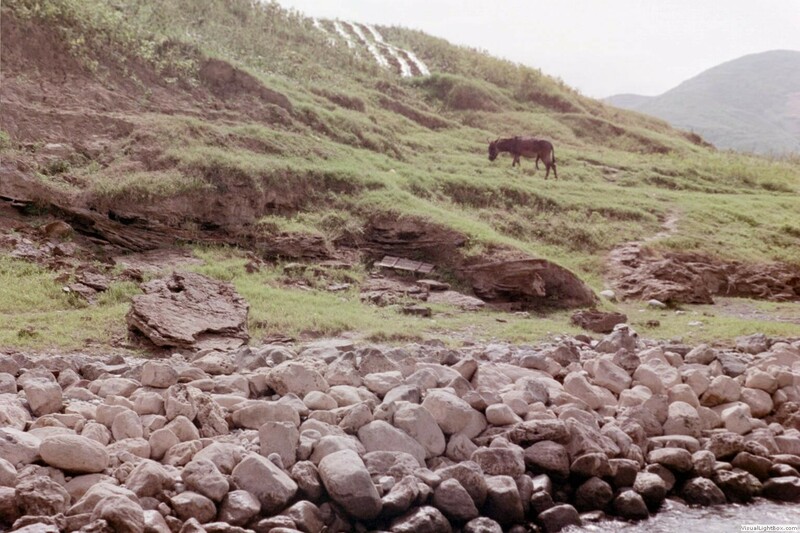 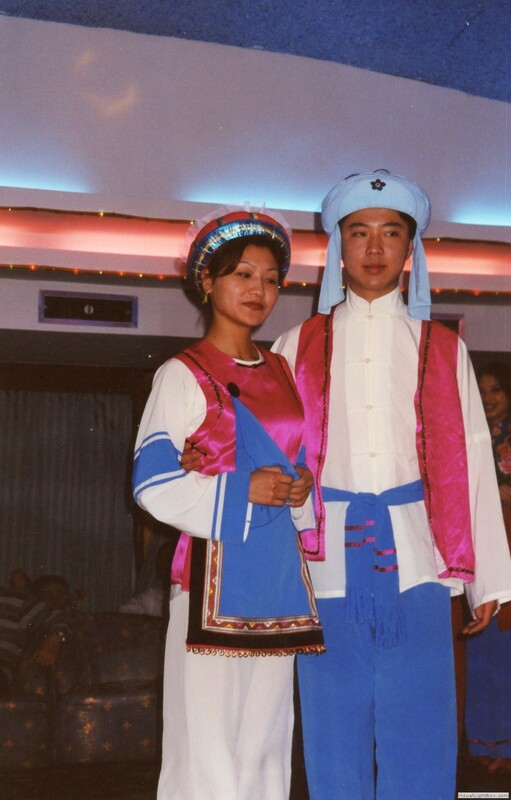 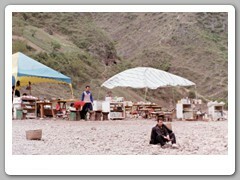 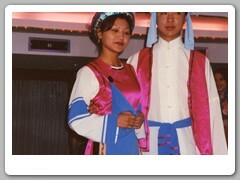 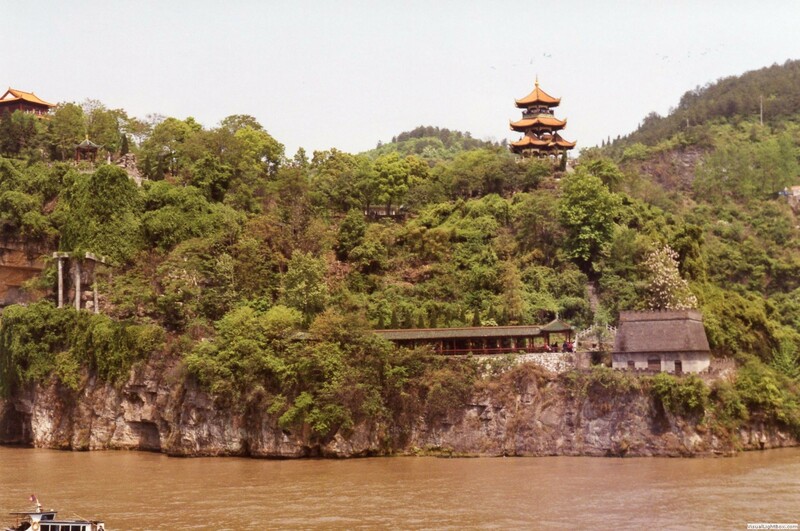 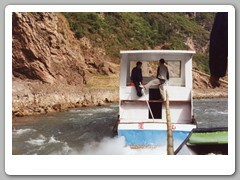 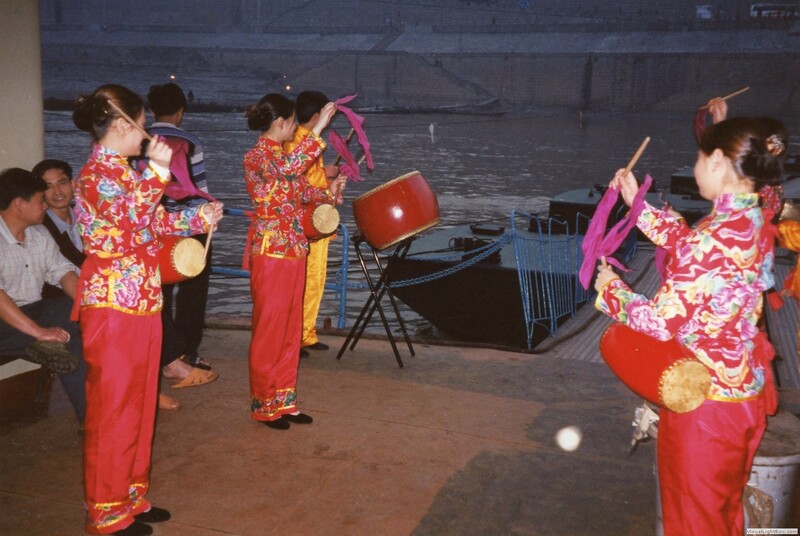 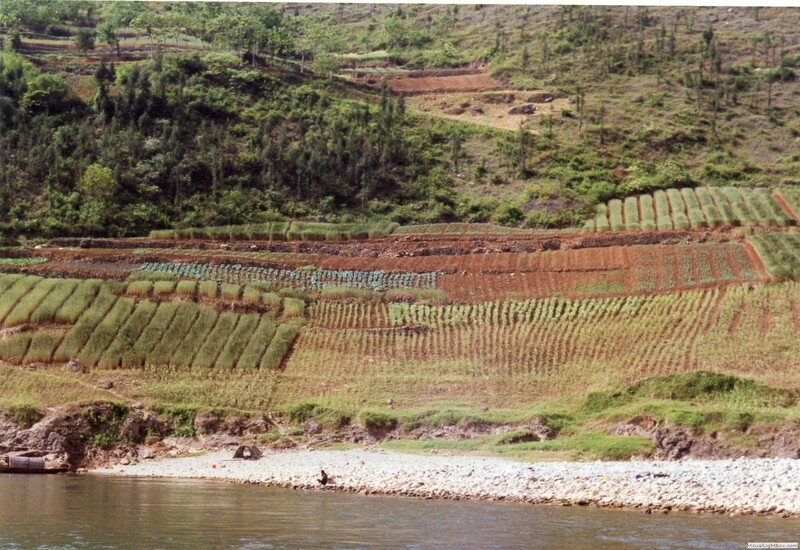 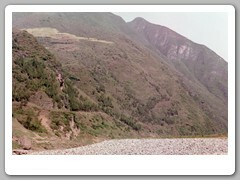 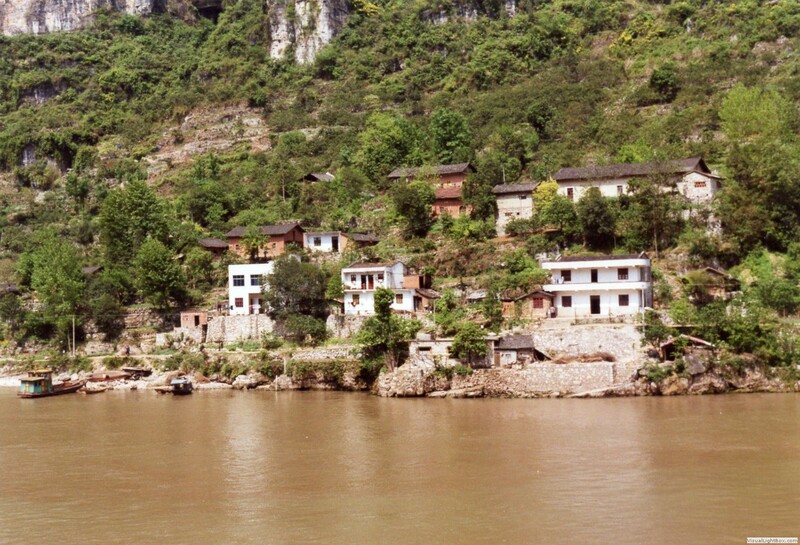 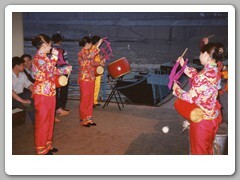 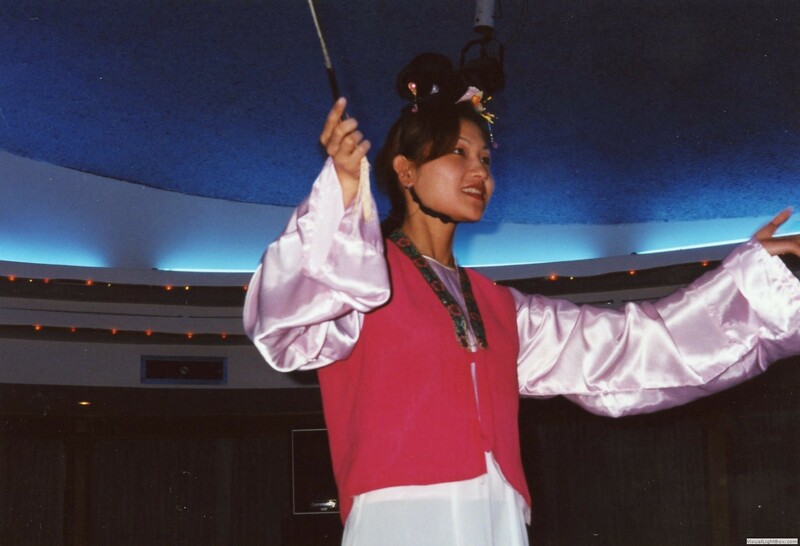 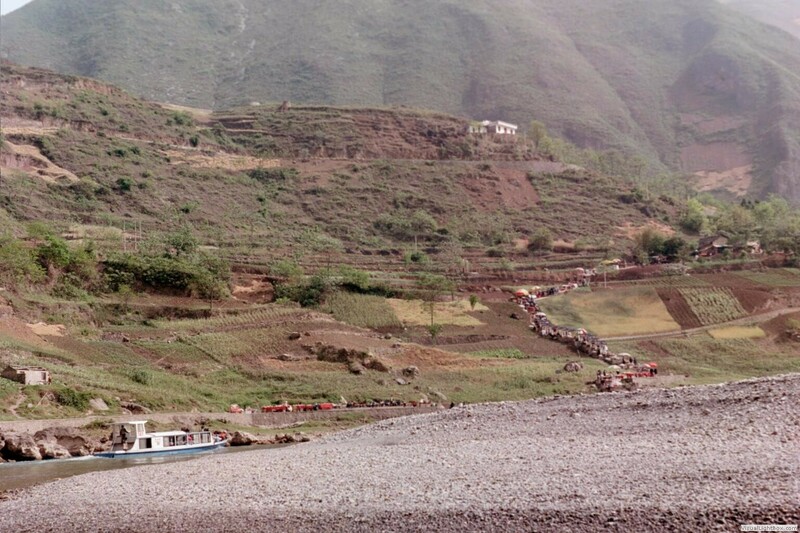 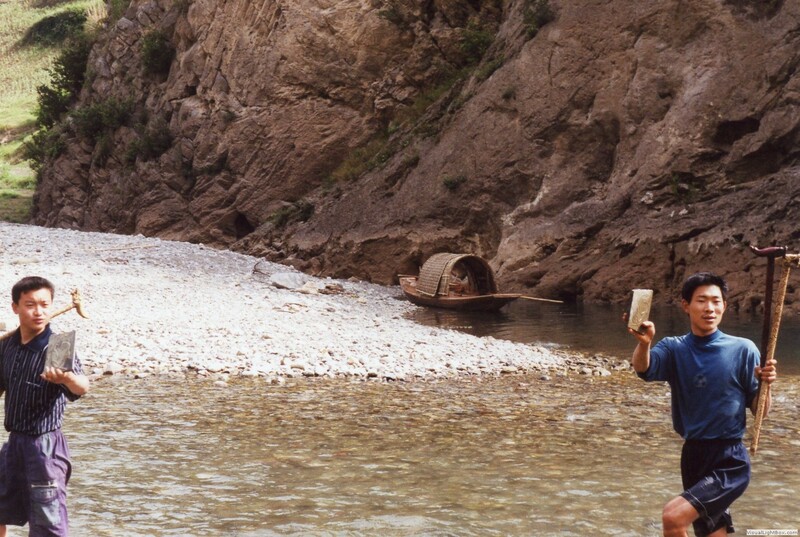 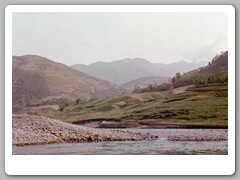 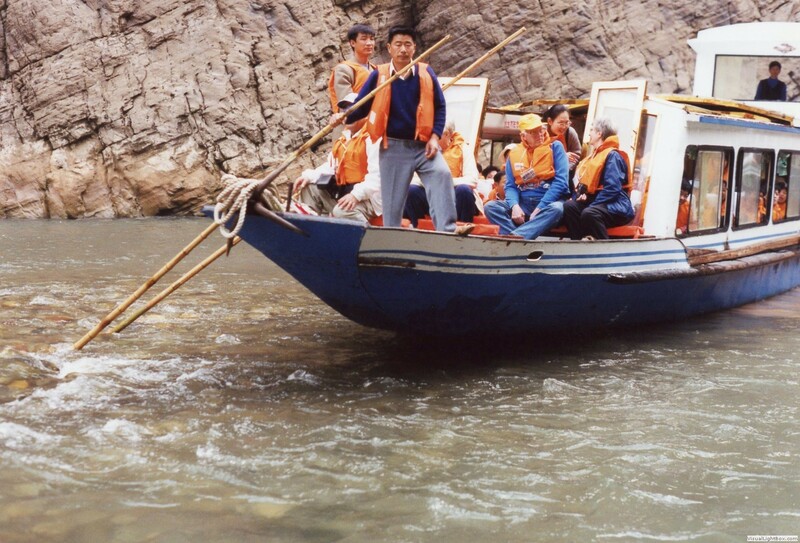 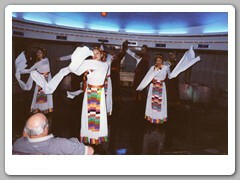 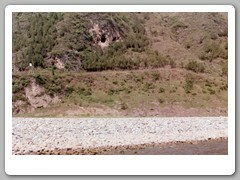 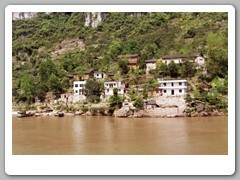 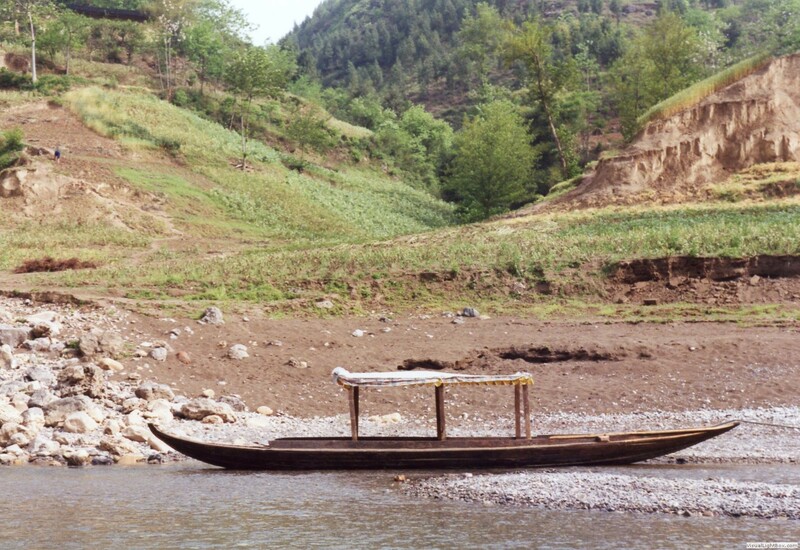 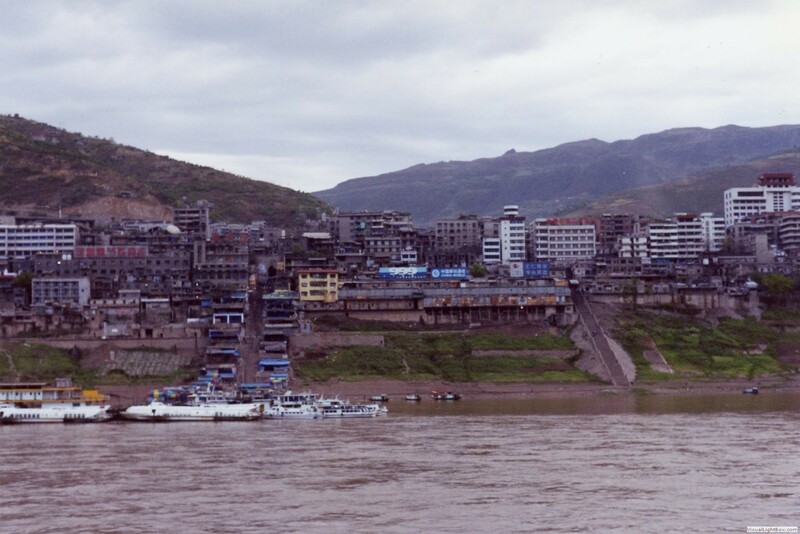 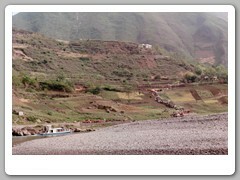 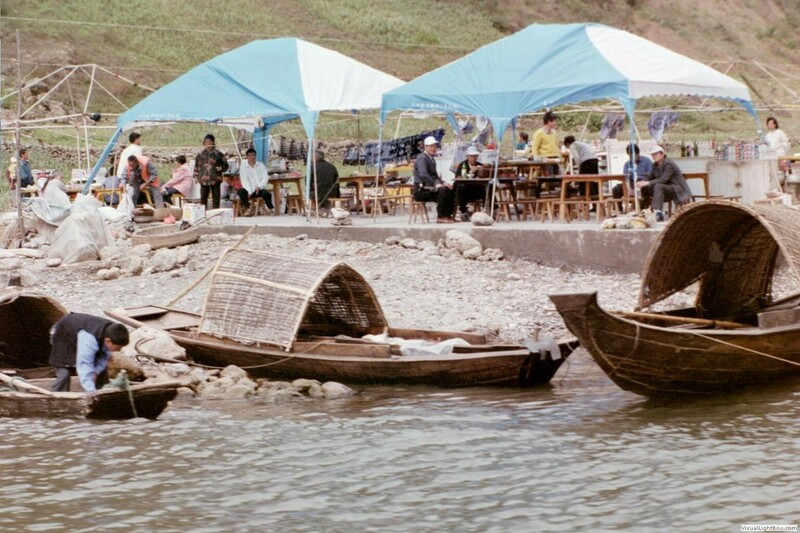 At Wushan we disembark for an excursion along the Danning River via sampan boats to the Three Lesser Gorges refering to the Longmen Gorge, Bawu Gorge, and the Dicui Gorge at the lower reaches of the river. 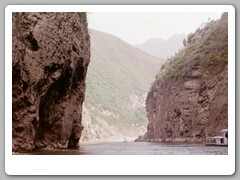 It might a little difficult to follow our route on the map. 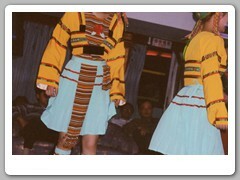 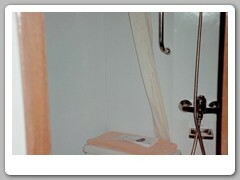 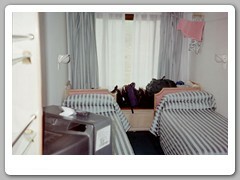 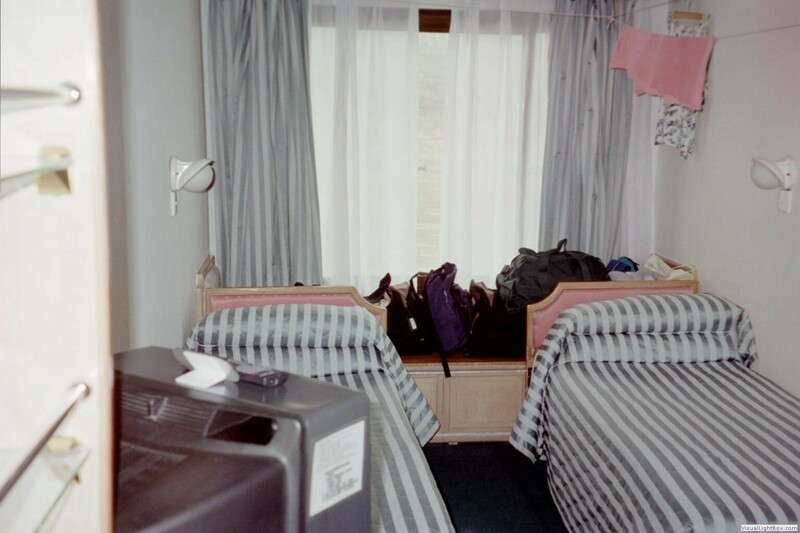 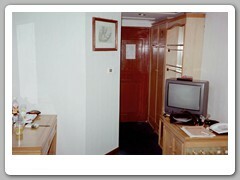 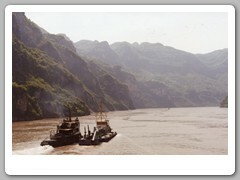 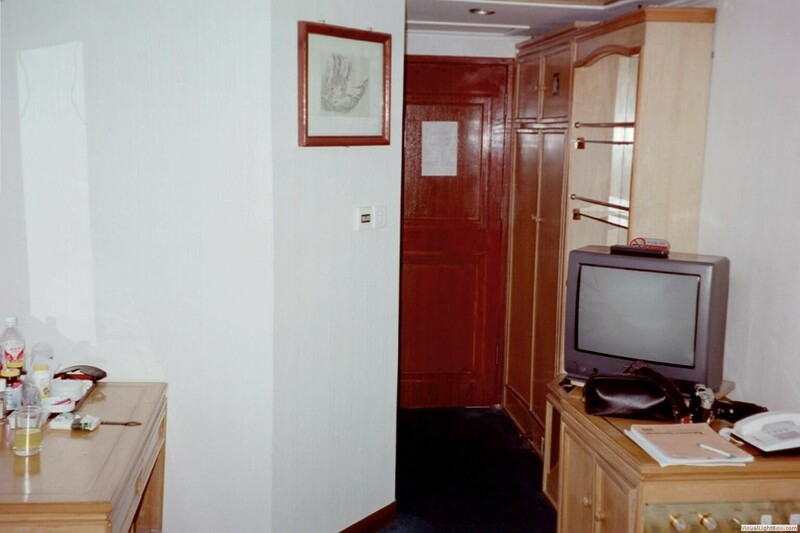 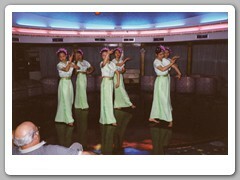 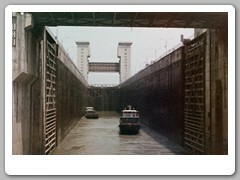 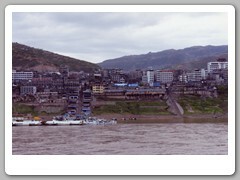 The start of the cruise is on the left (Chongqing) and the end is on the right (Wuhan). 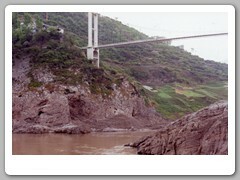 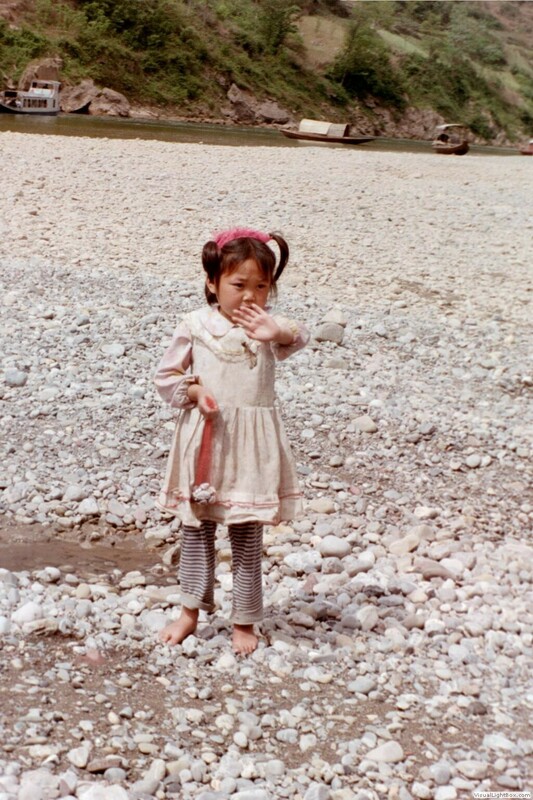 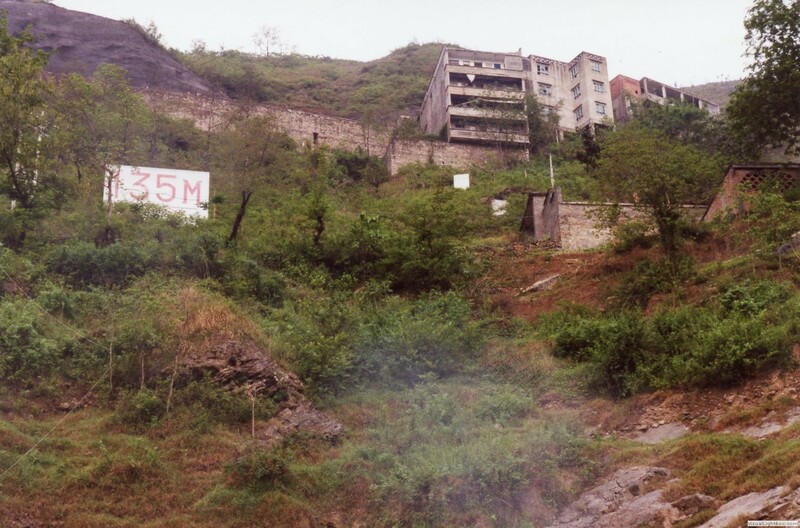 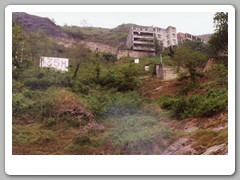 The Minor Three Gorges is the river going up at Wushan. 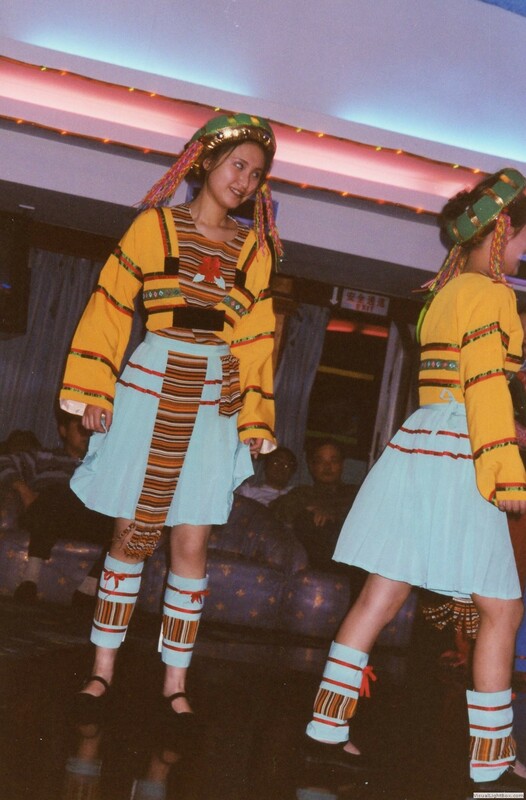 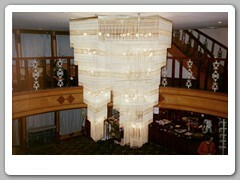 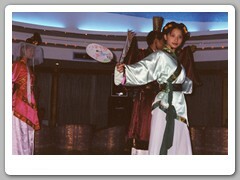 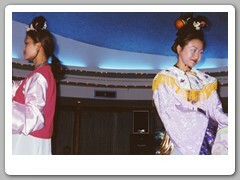 Here is the cruise itinerary and the cruise fashion show.